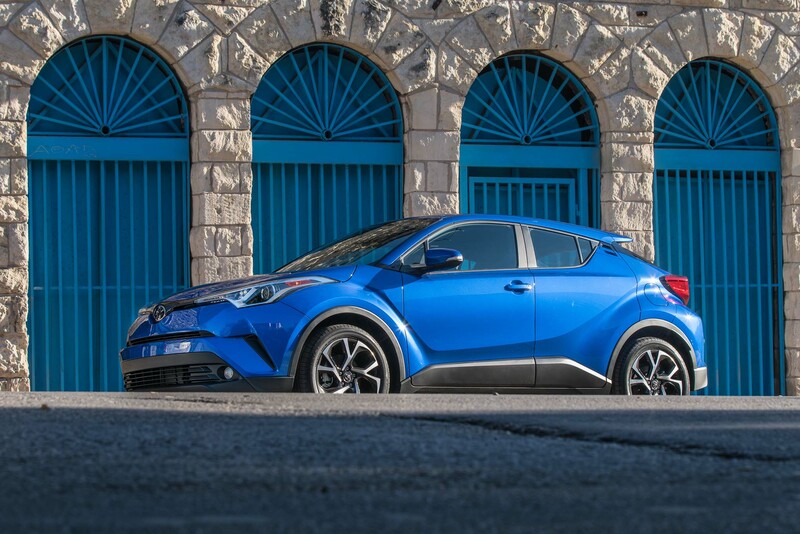 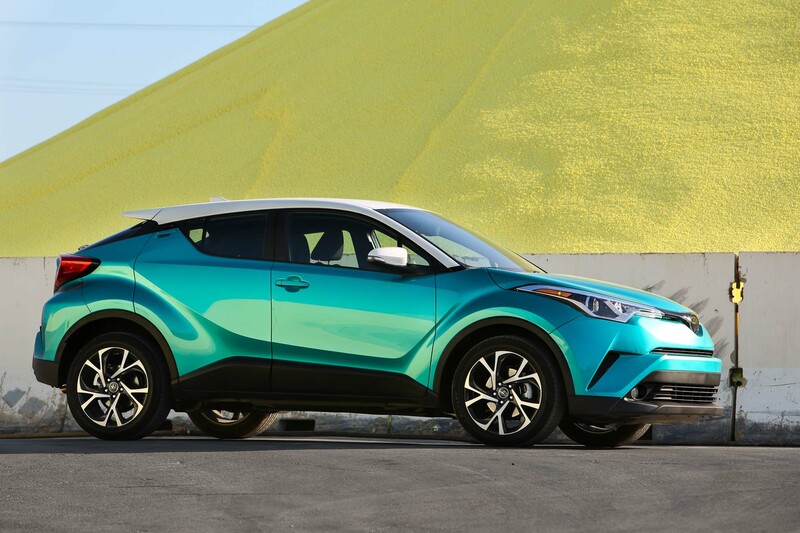 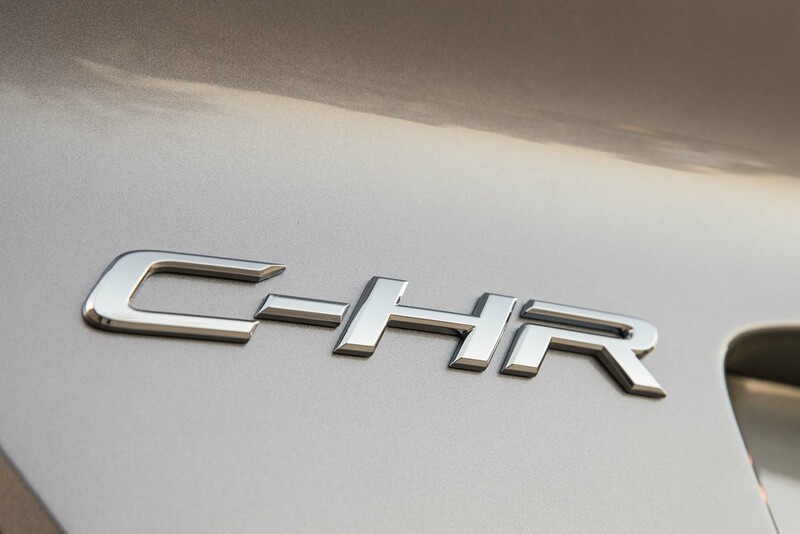 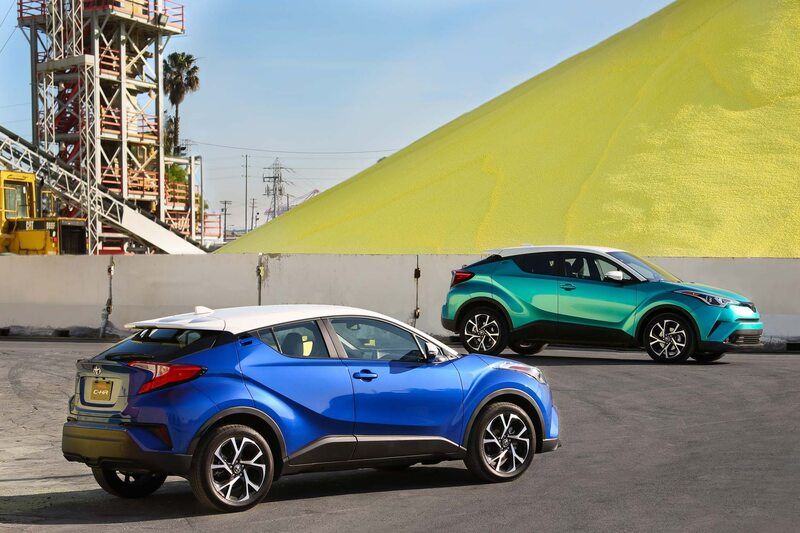 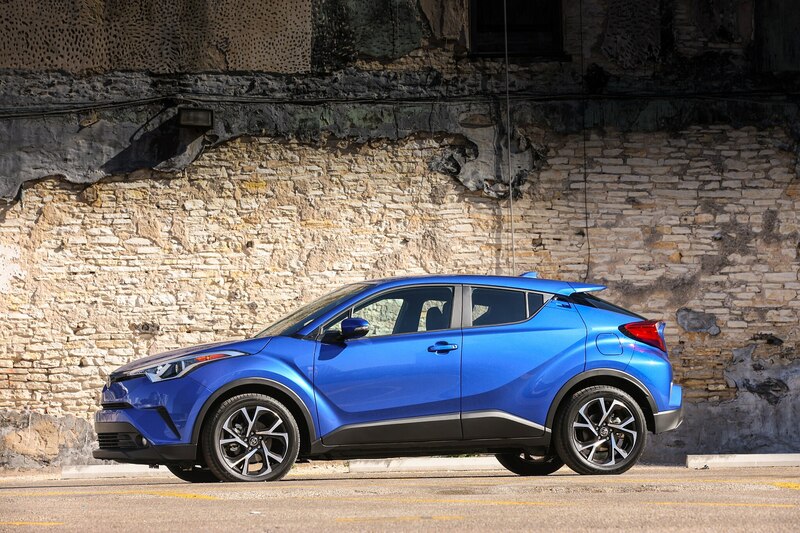 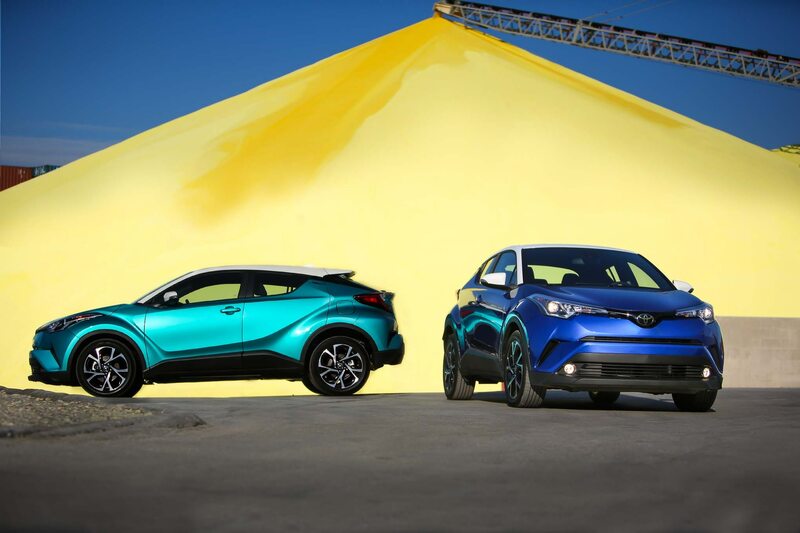 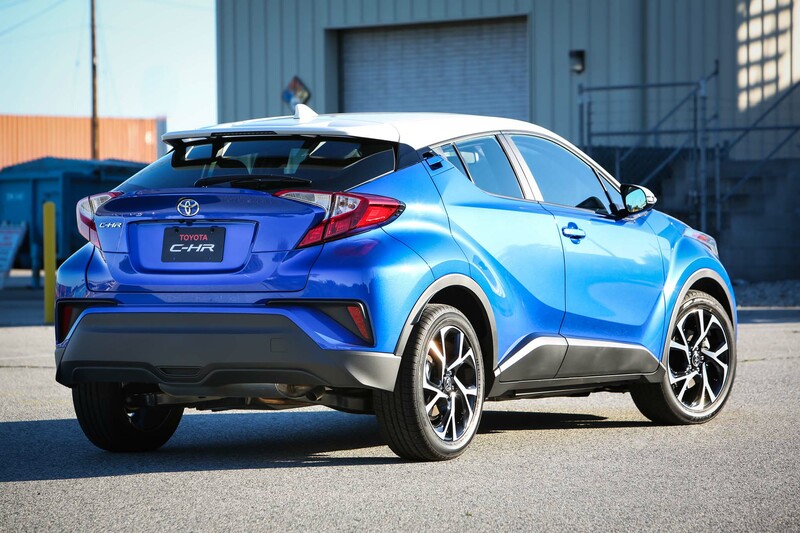 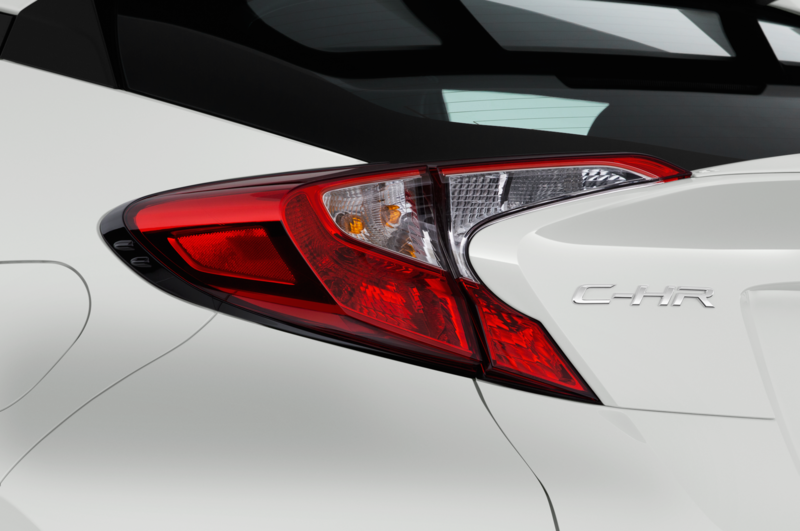 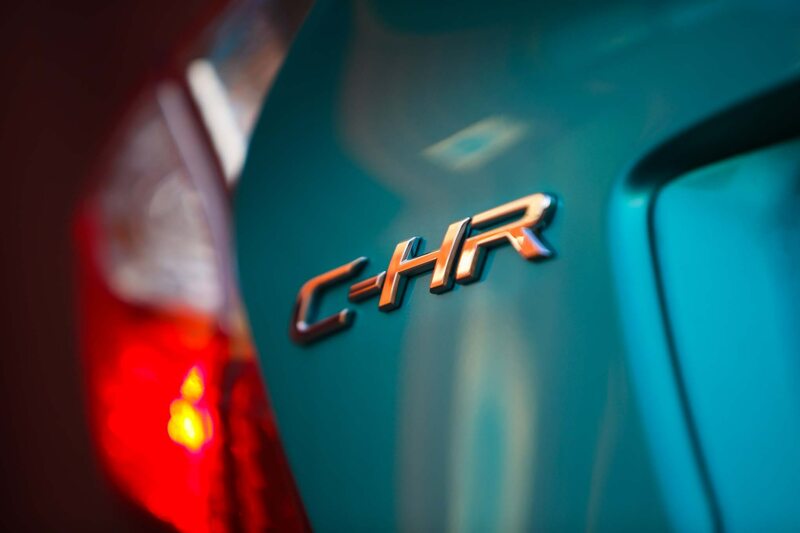 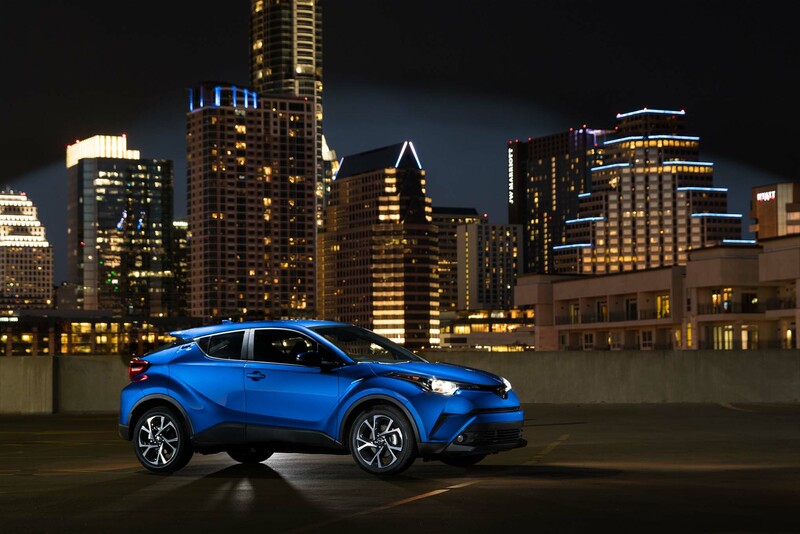 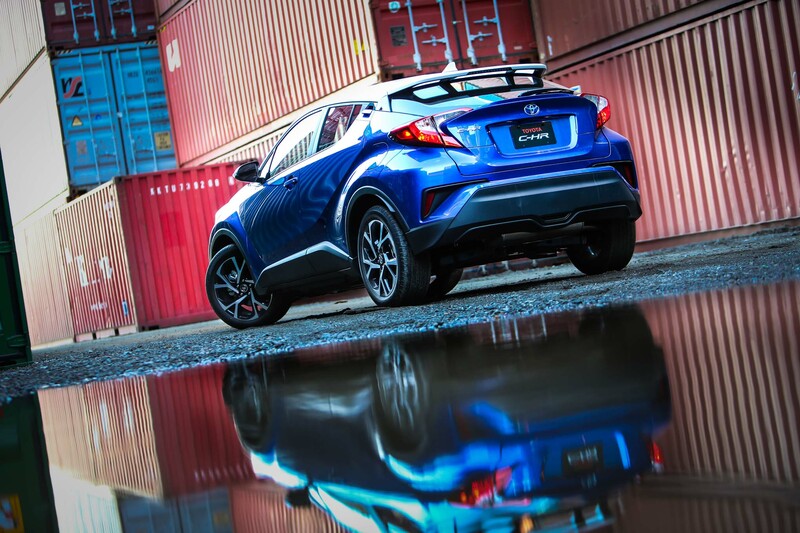 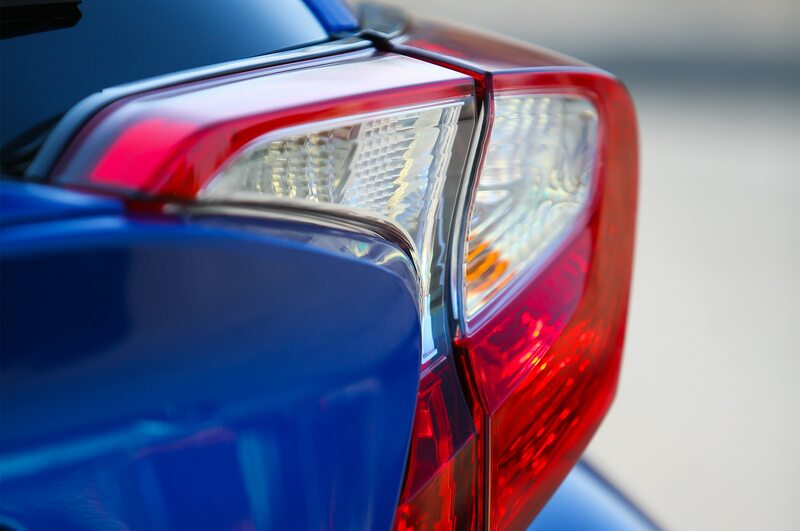 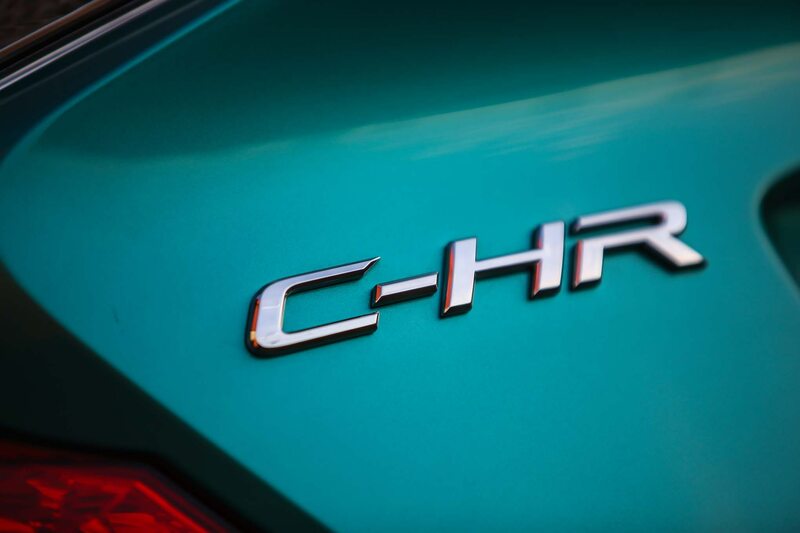 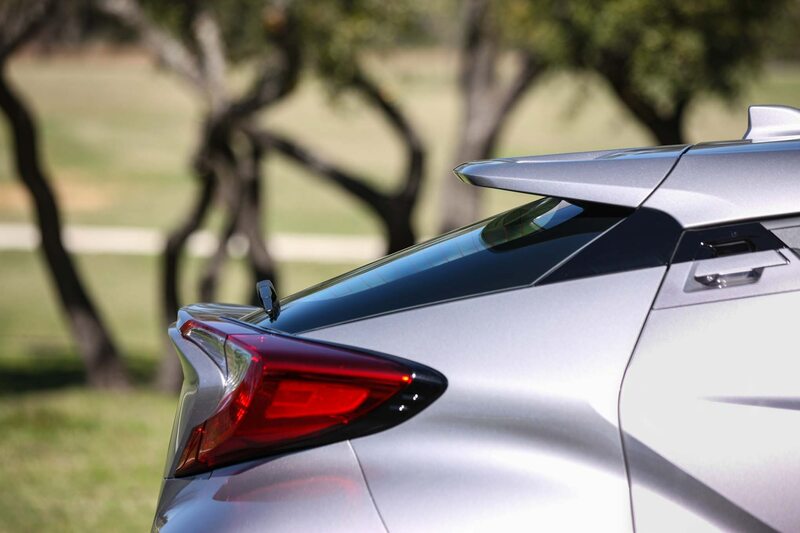 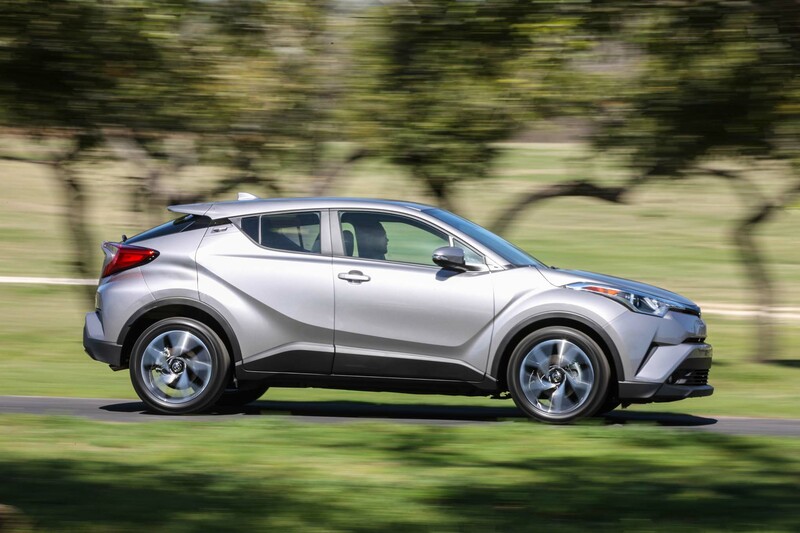 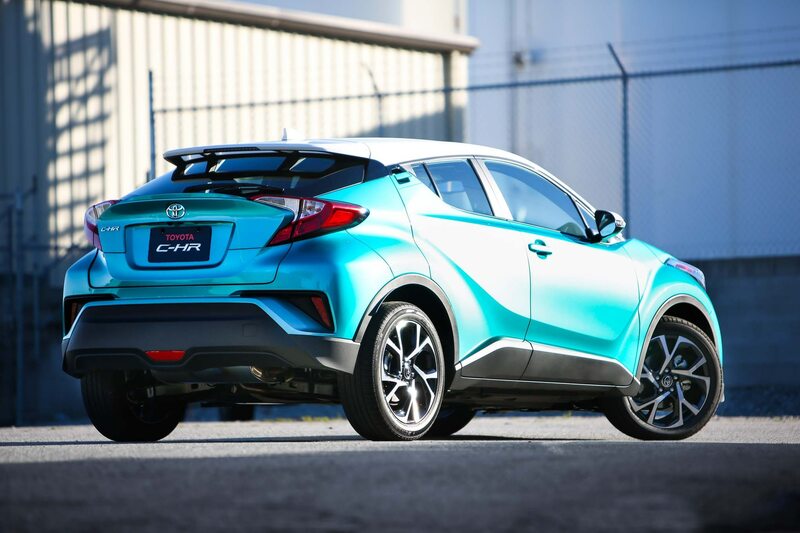 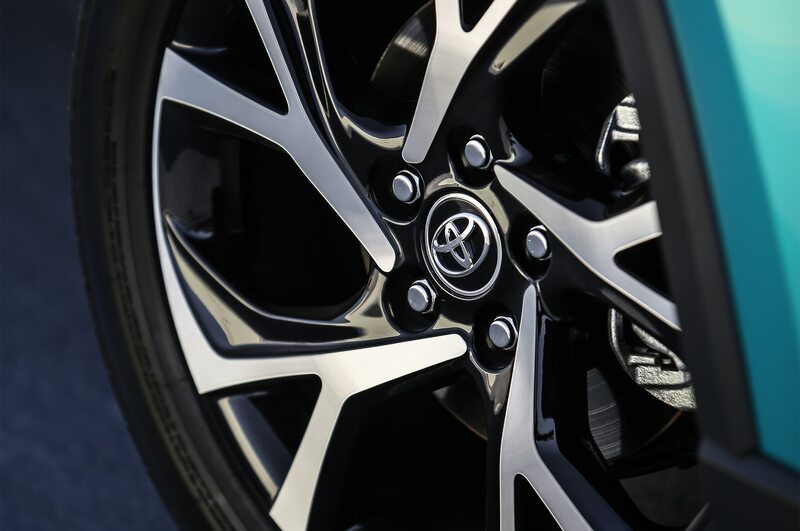 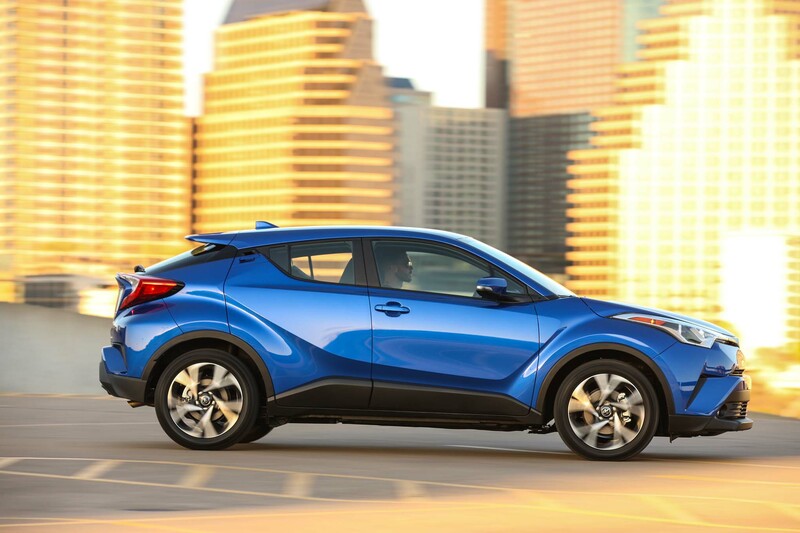 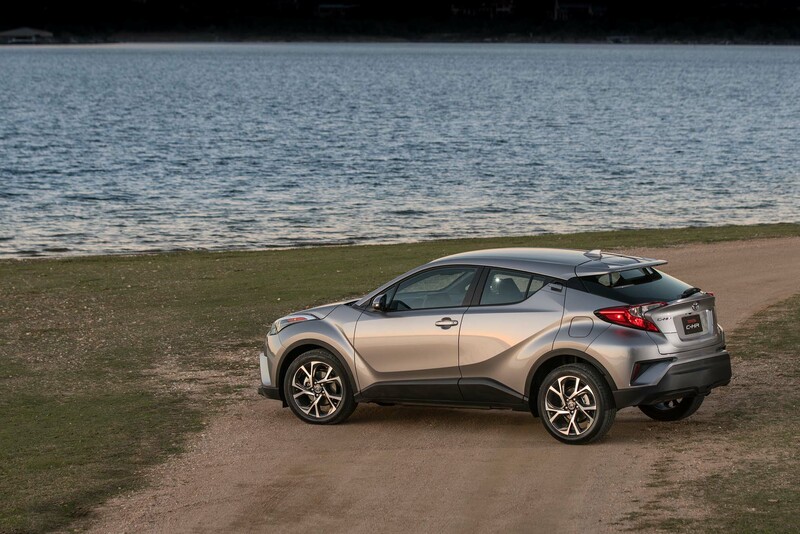 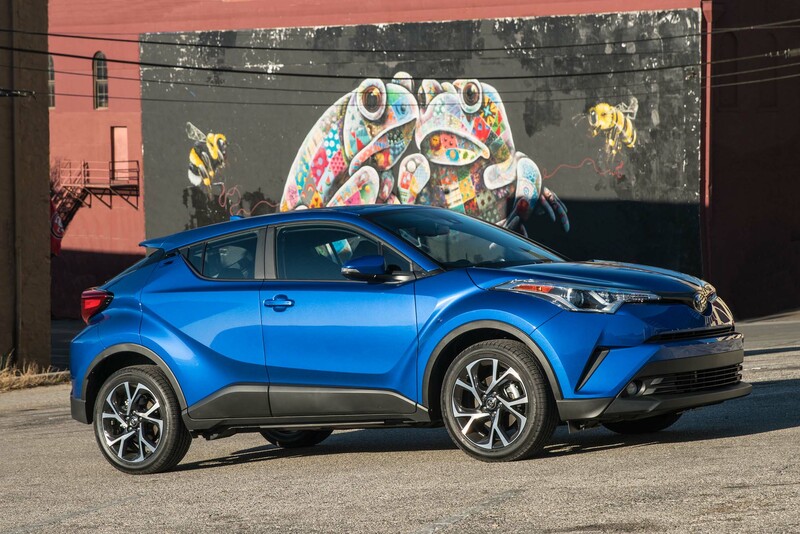 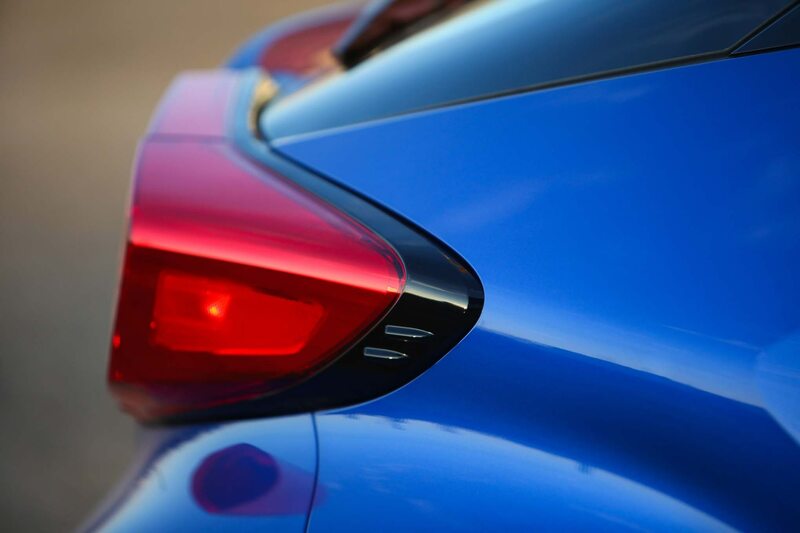 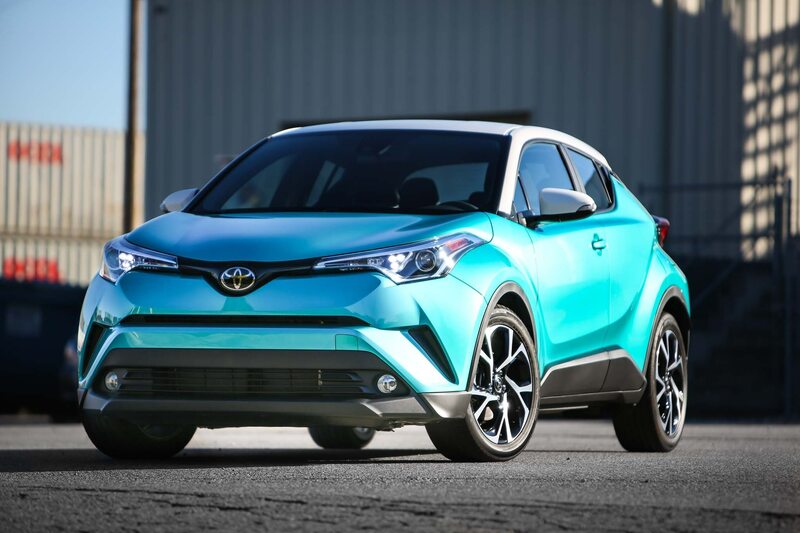 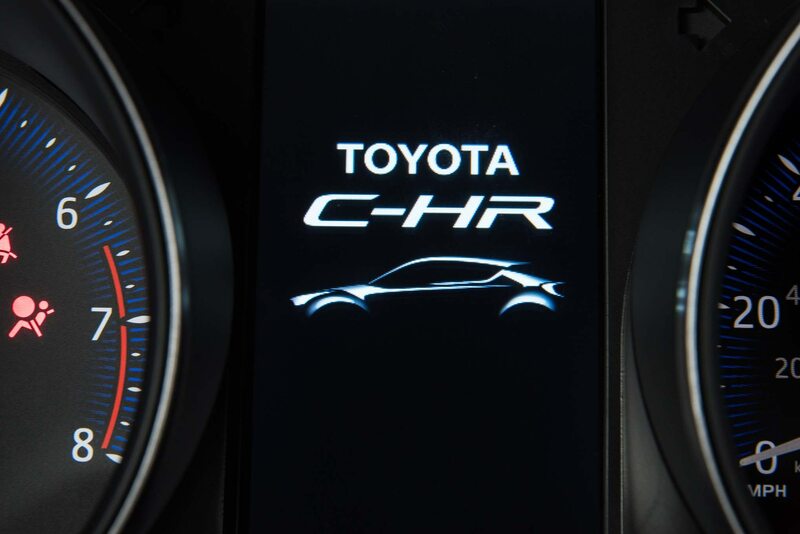 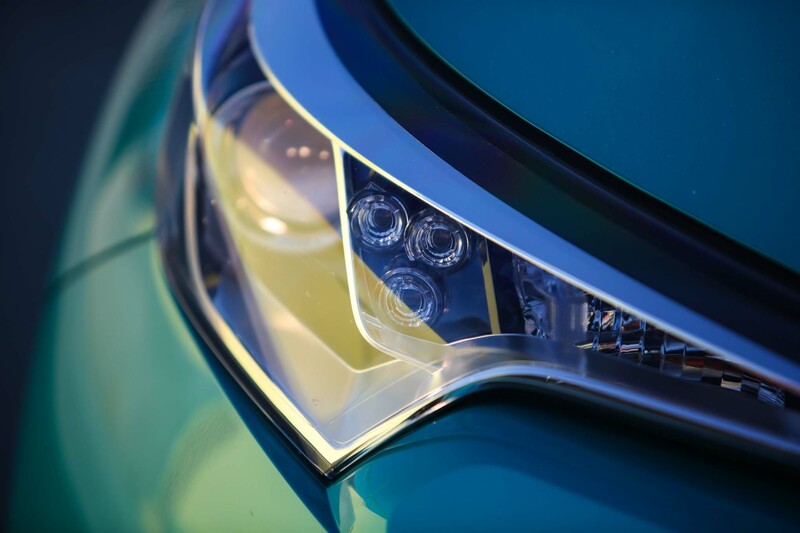 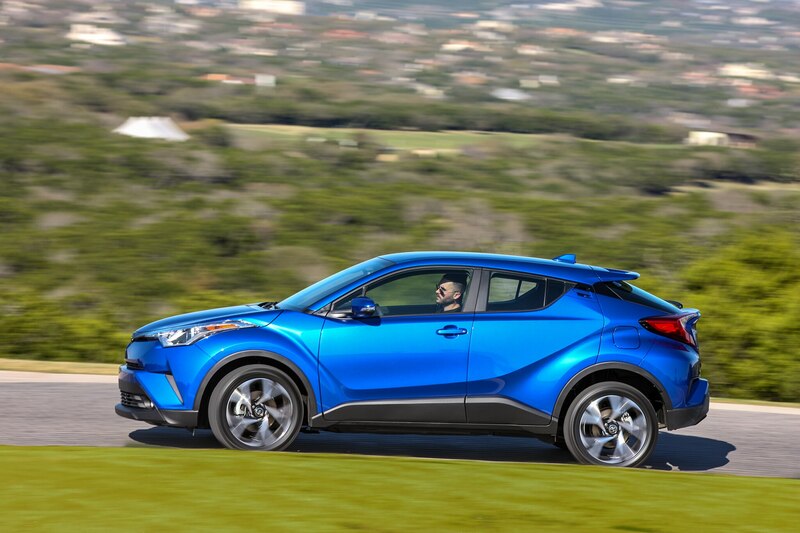 Turn the clocks back two years to the 2016 Los Angeles Auto Show and the debut of the Toyota C-HR. 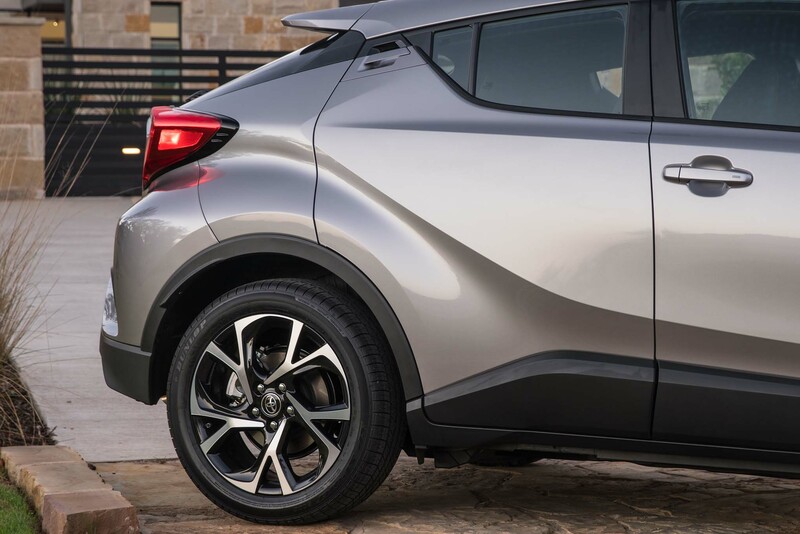 It was pitched to the audience with enthusiasm as a car designed for millennials with active lifestyles. 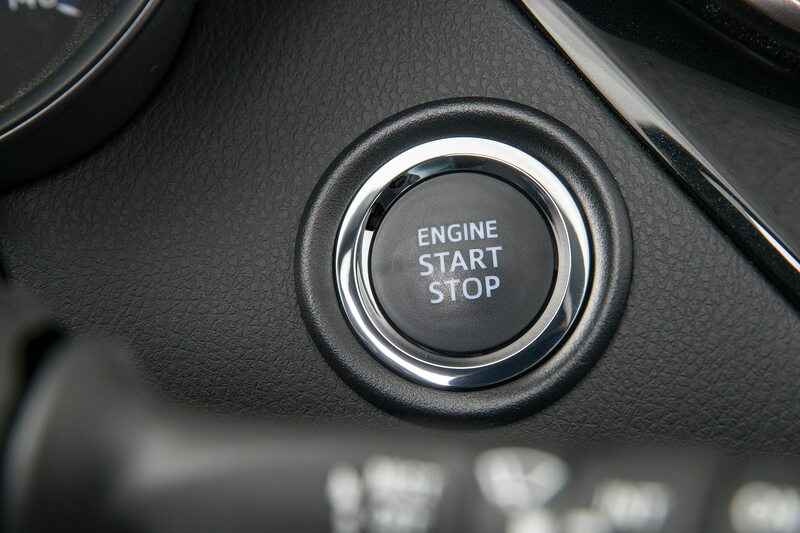 A millennial myself, I couldn’t help but raise an eyebrow as I, and other members of my generation, spurn products that claim to know what we need or want. 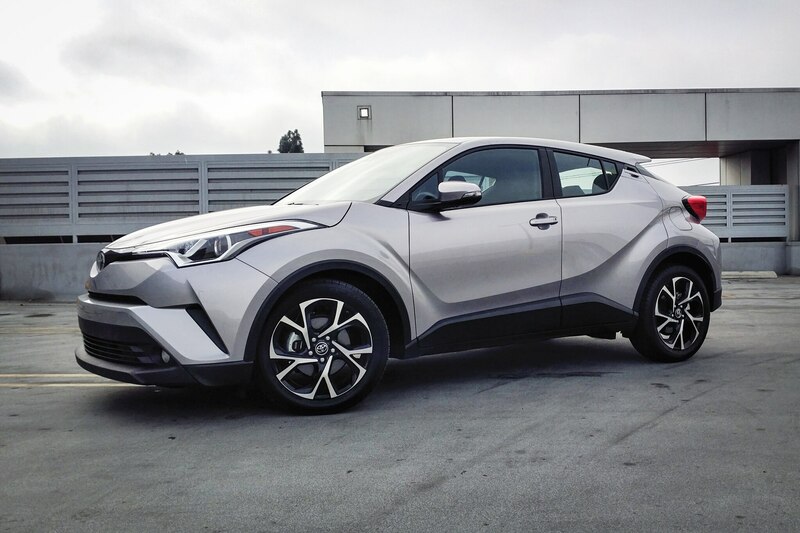 I spent the better part of a week in 2018 Toyota C-HR XLE Premium. 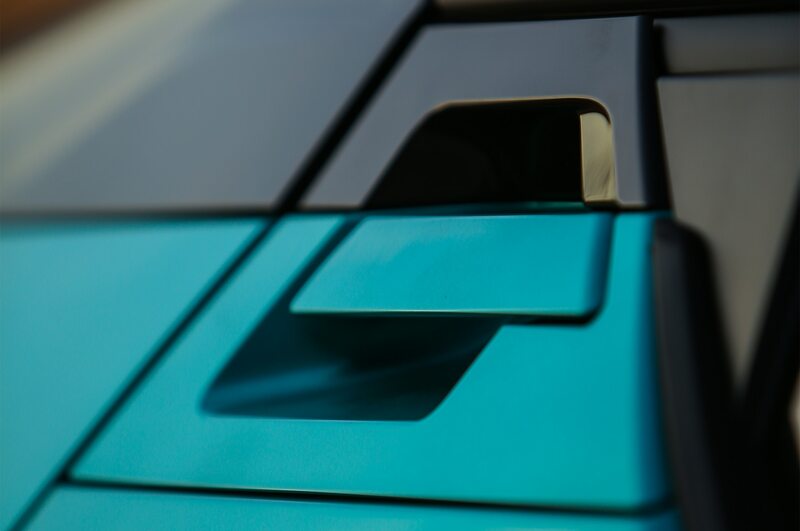 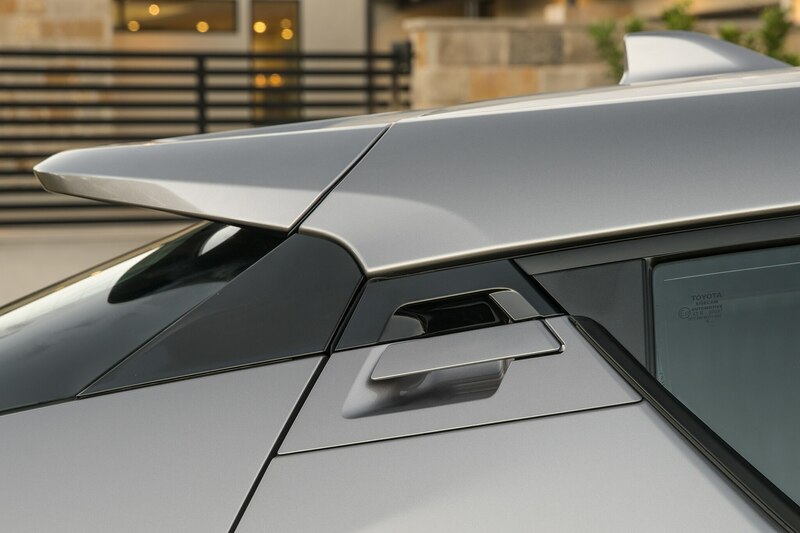 Charged with reviewing a vehicle specifically designed and marketed toward buyers belonging to my generation, I decided to reach out on my personal social media channels to finger the pulse of what my friends and acquaintances in the 18-35 demographic value most in their vehicles. 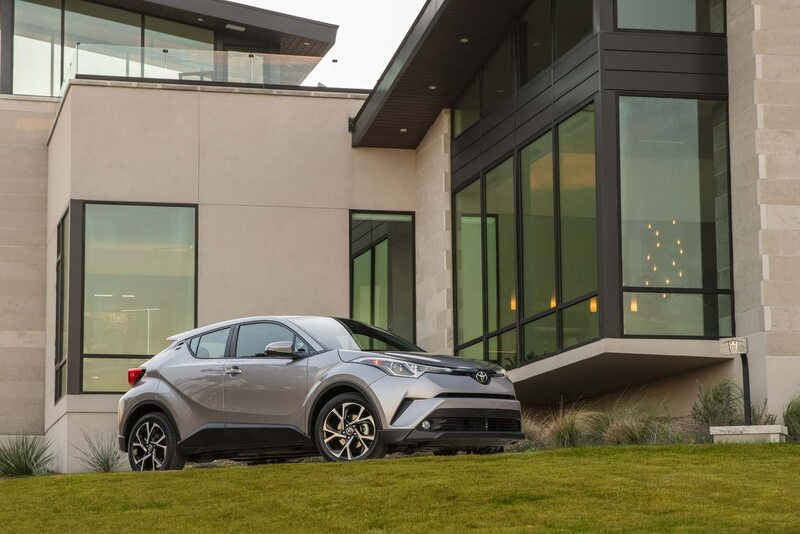 Twitter, the virtual land of hot takes and sweeping opinions, was the first place I prodded for insight as to what is most important for millennial buyers. 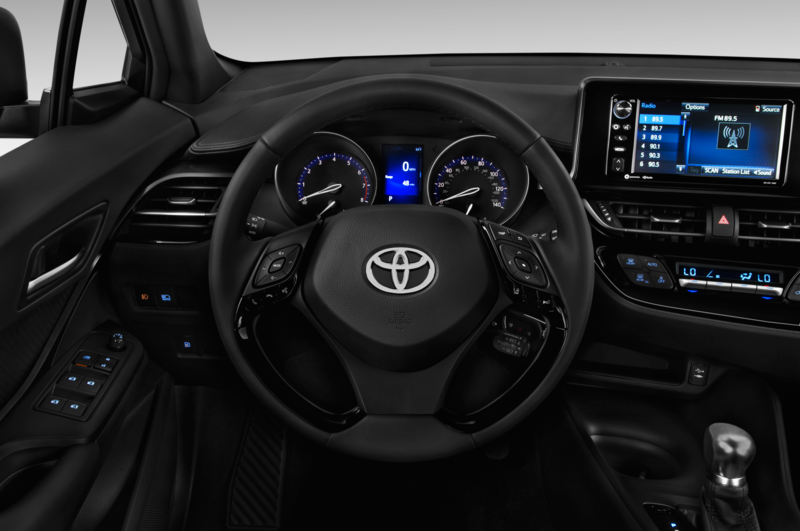 Of the six contributions, price and driving experience led the pack with two votes each, while phone connectivity and styling each received a single vote. 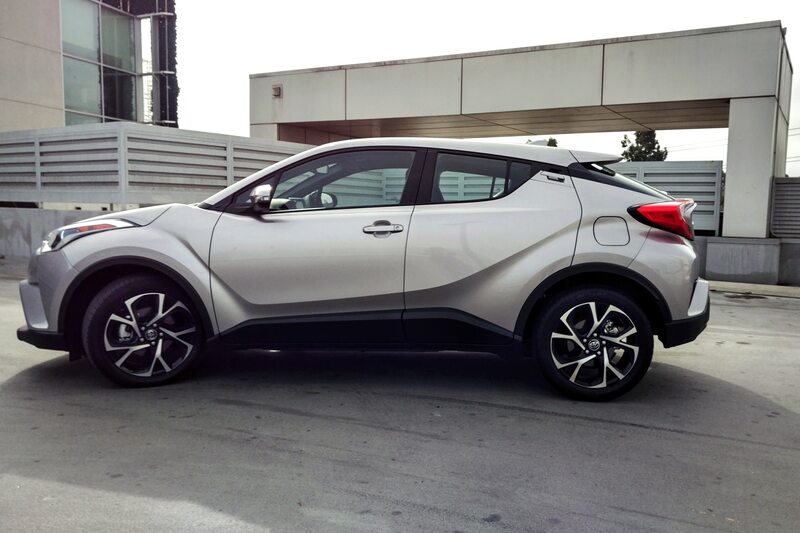 I'll be driving the funky Toyota C-HR for the weekend. 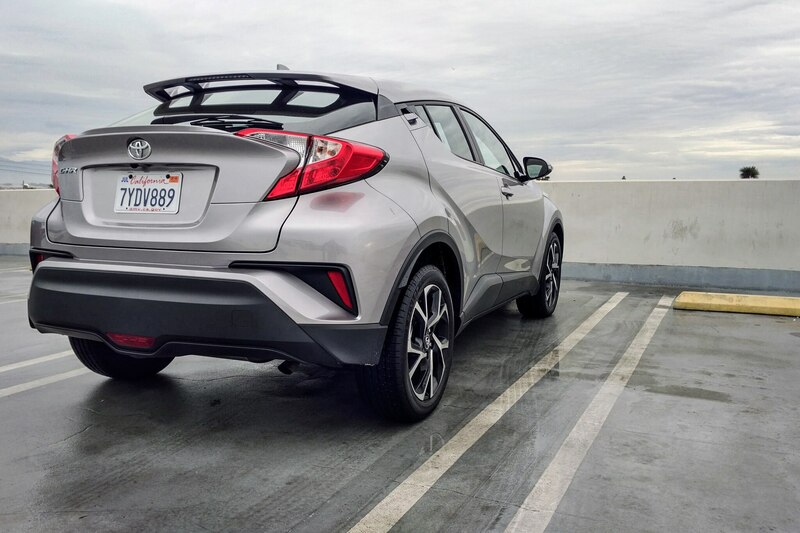 It's a car marketed /explicitly/ at millennials. 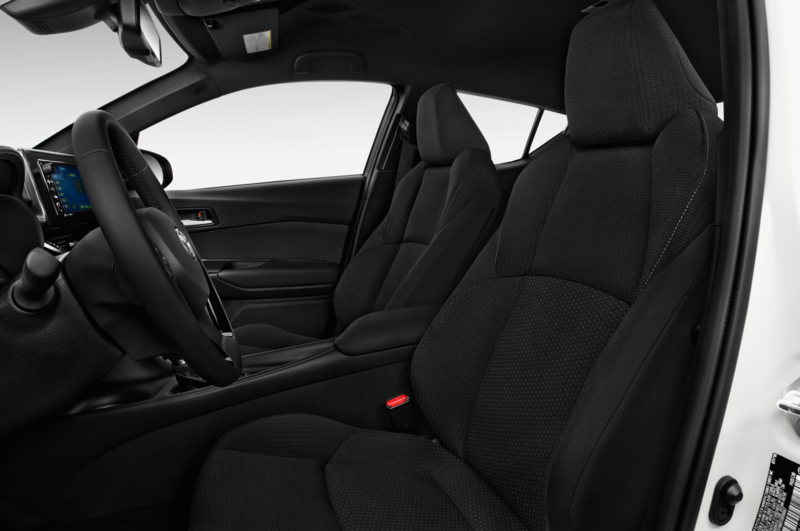 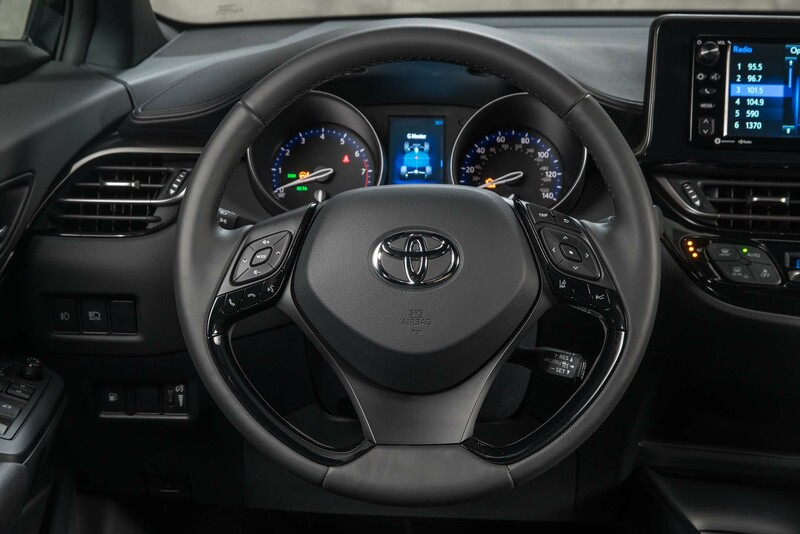 To the 18-35 y/o driver, what factors are most important to you? 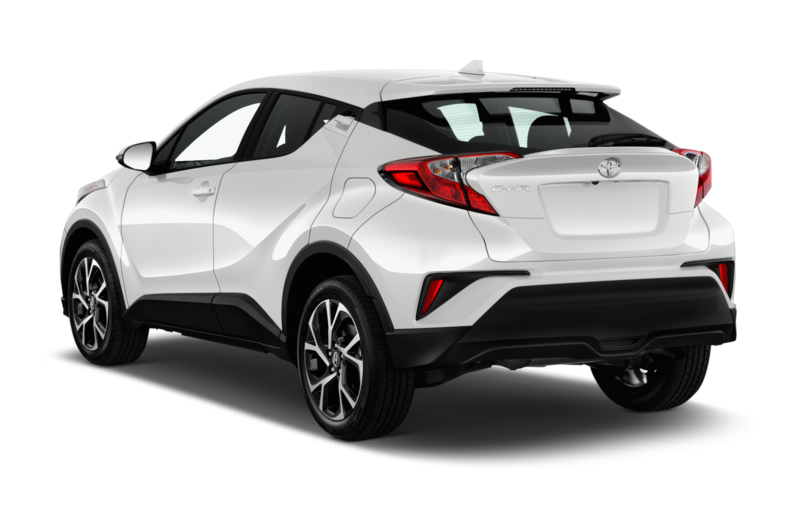 I also posted a poll on my Instagram story to see what my followers thought about the C-HR’s styling. 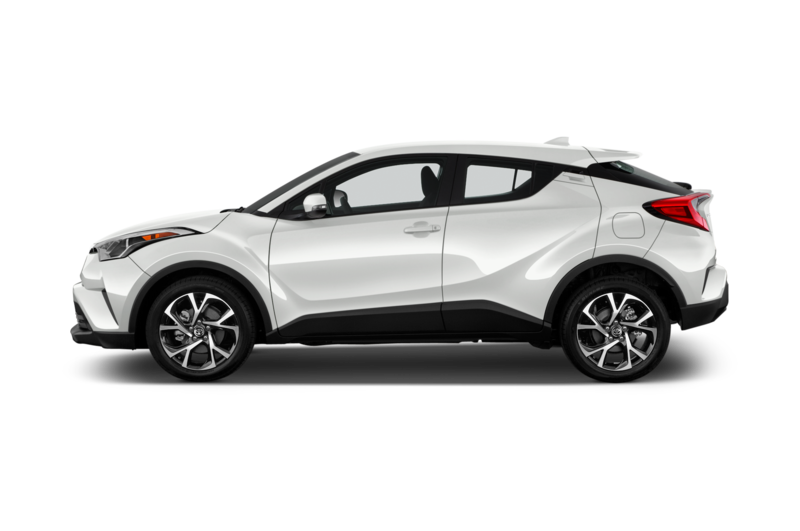 Of those who voiced their opinion, 73% voted it down, which is more or less what I heard from friends over the weekend. 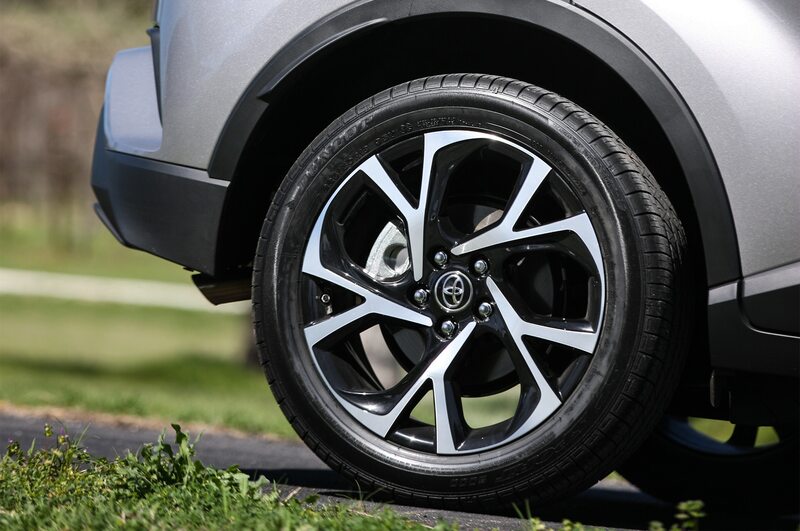 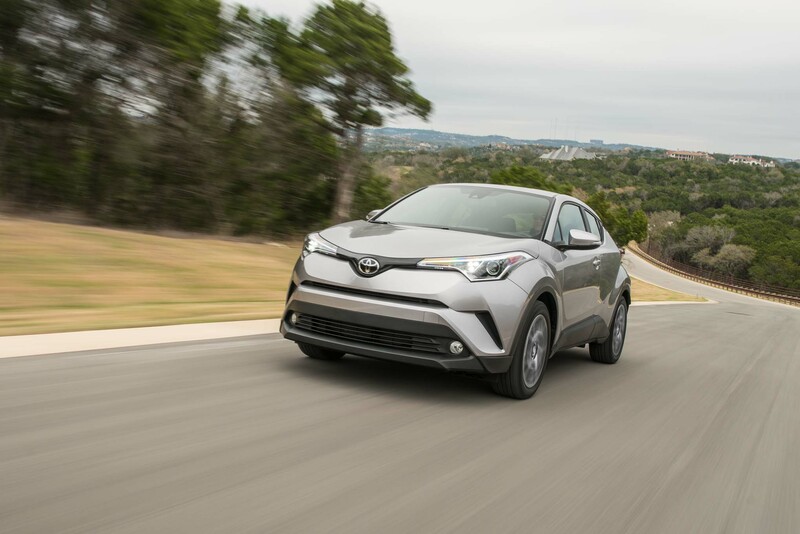 For those who value substantive driving over appearance, Toyota’s CUV offers a mixed bag. 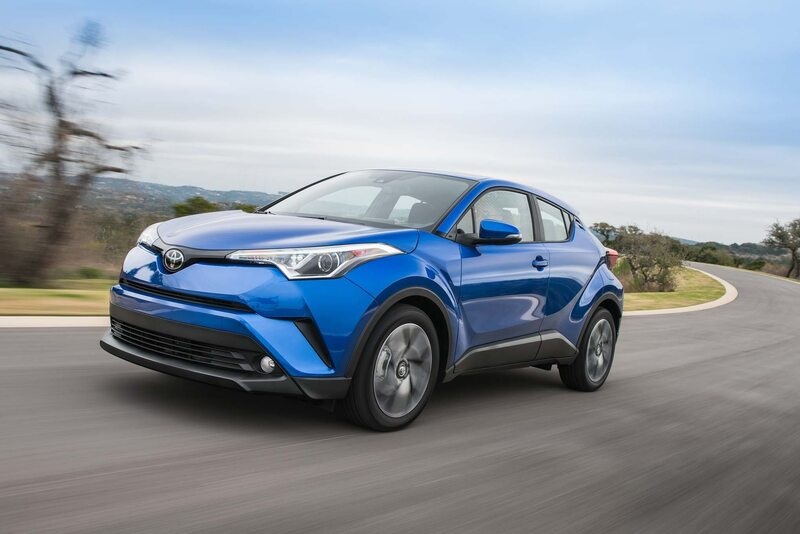 Its handling and braking are spot-on for the segment and the little ute’s road holding is far better than expected. 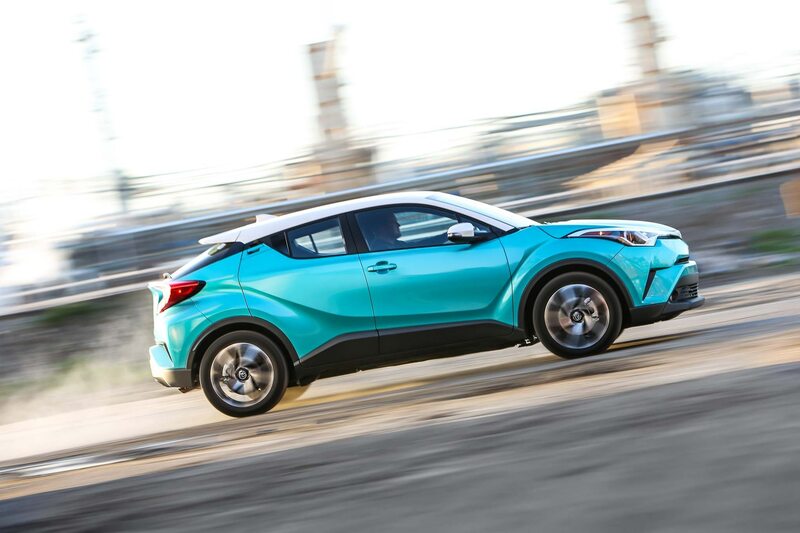 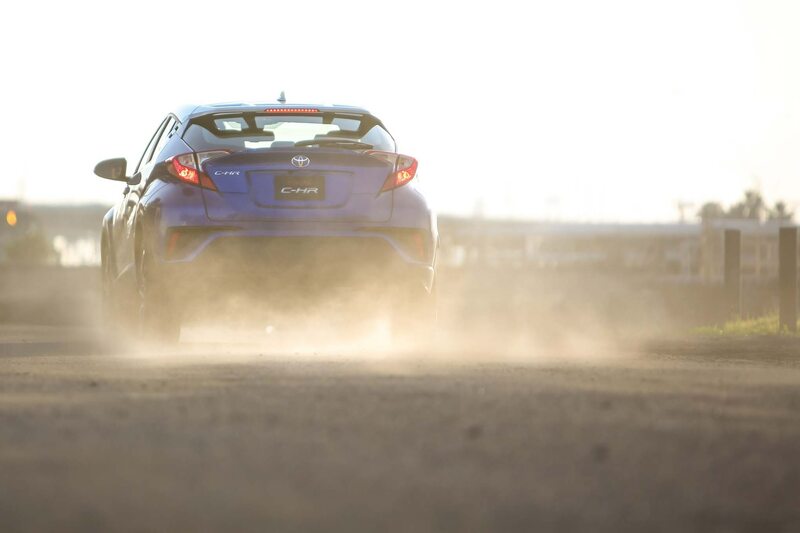 The chassis feels rigid and coped well with enthusiastic cornering. 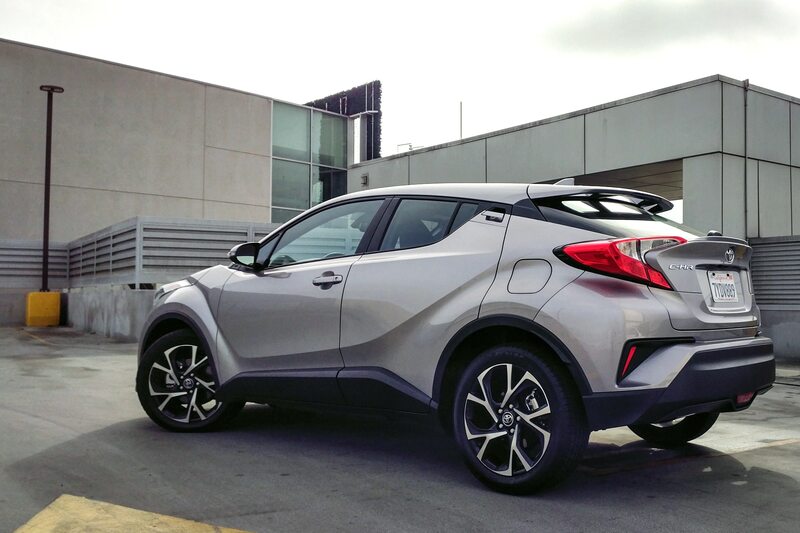 The C-HR’s biggest letdown is its lackadaisical powertrain. 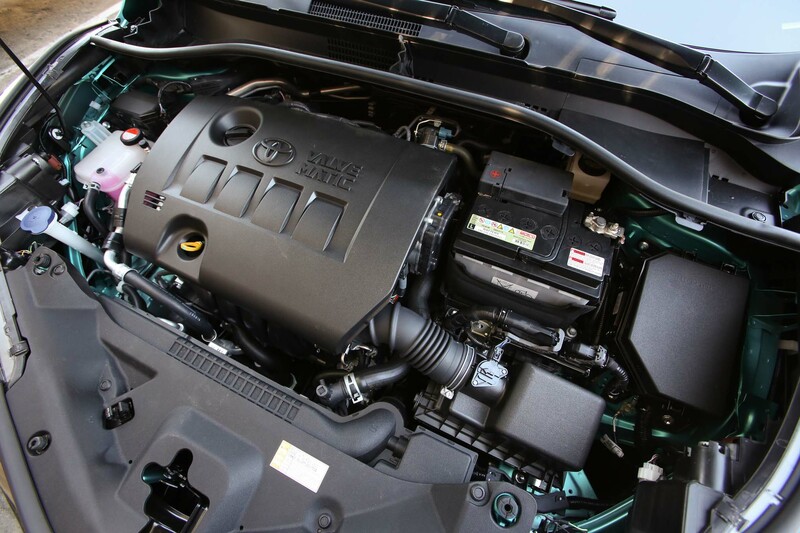 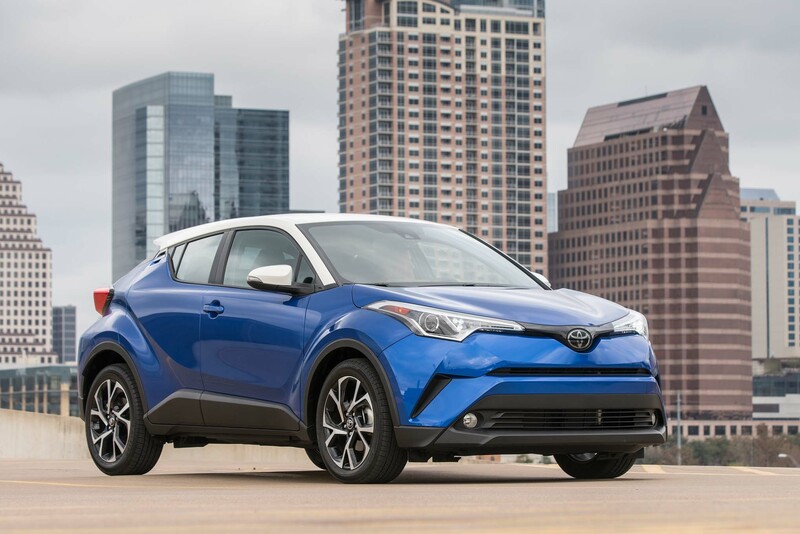 Its 2.0-liter inline-four produces 144 hp and 139 lb-ft of torque, which on paper seem like adequate figures for a 3,300-lb CUV. 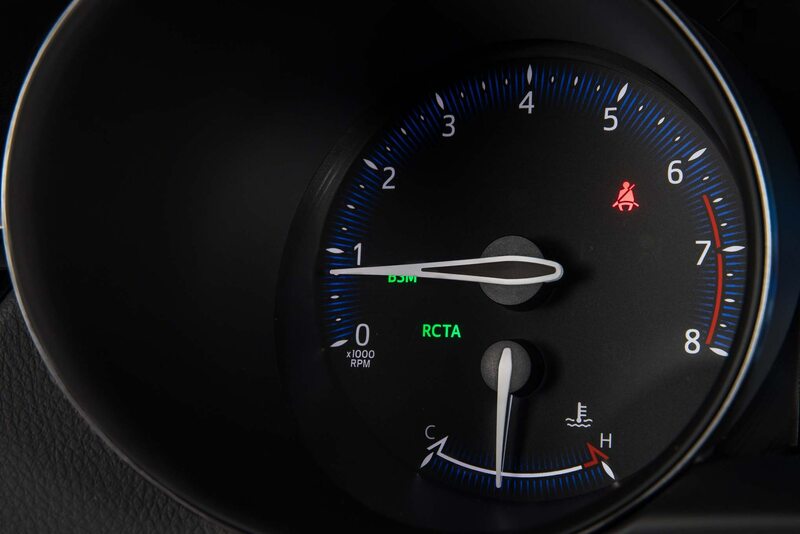 Peak power occurs at 6,100 rpm, near redline. 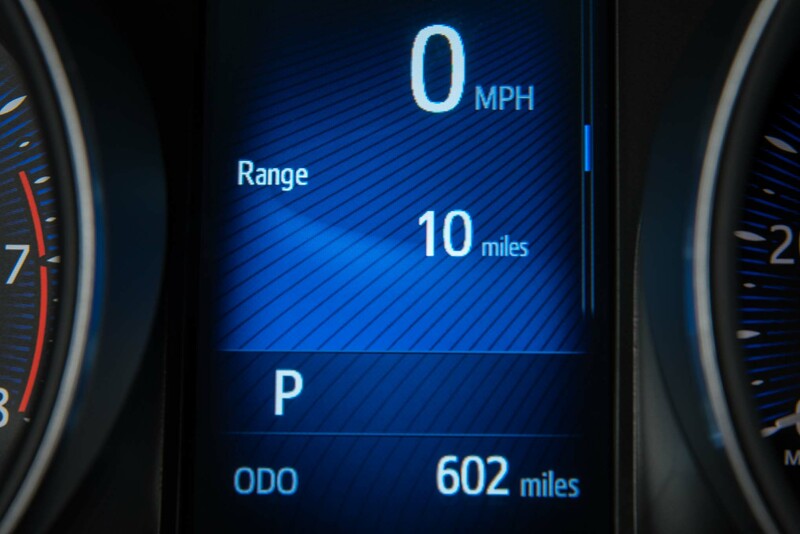 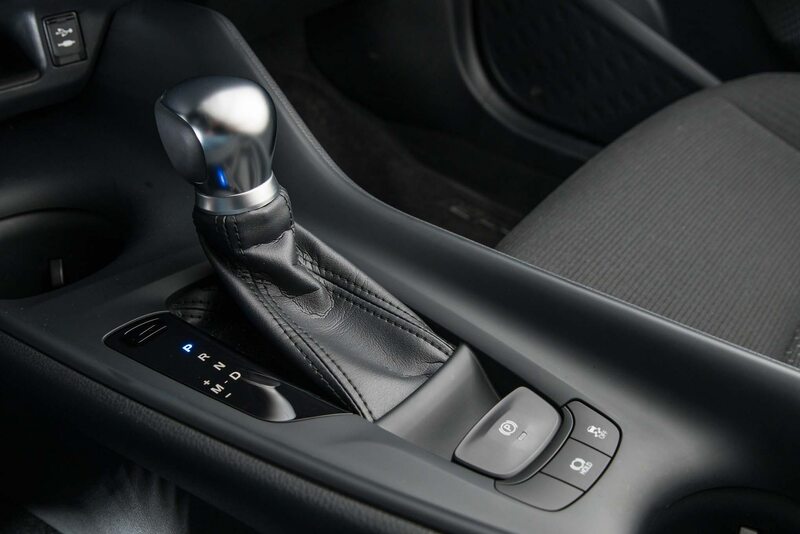 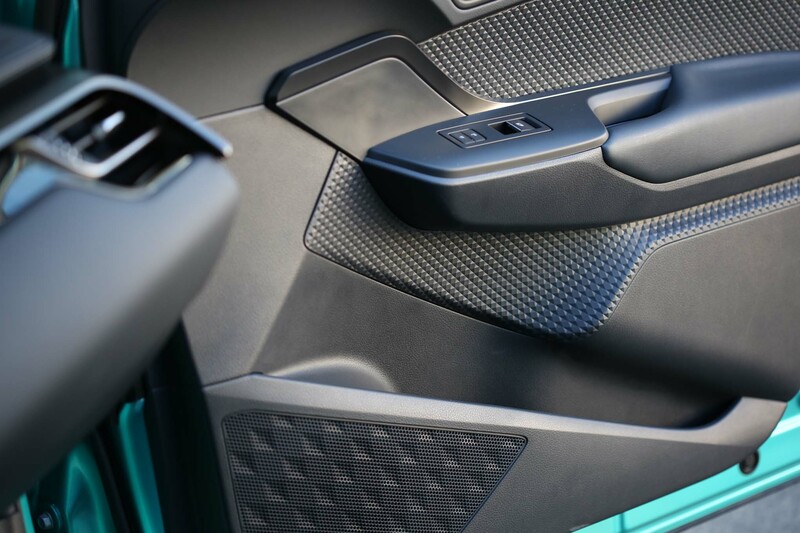 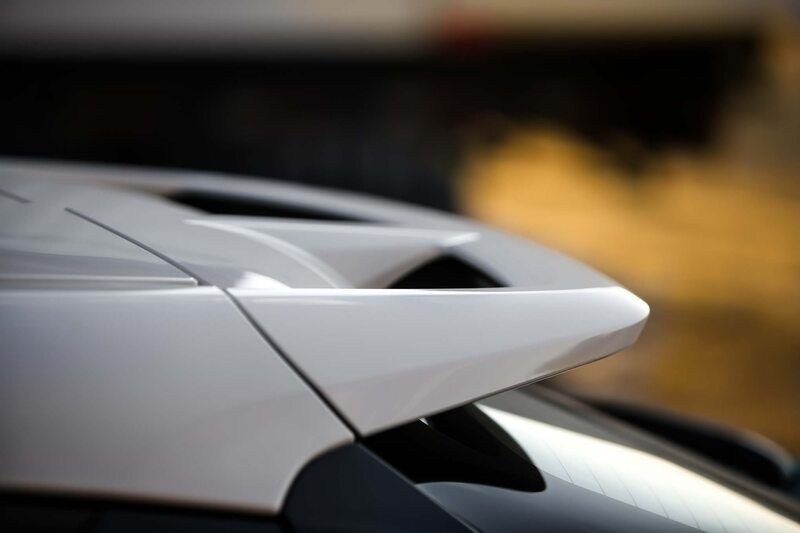 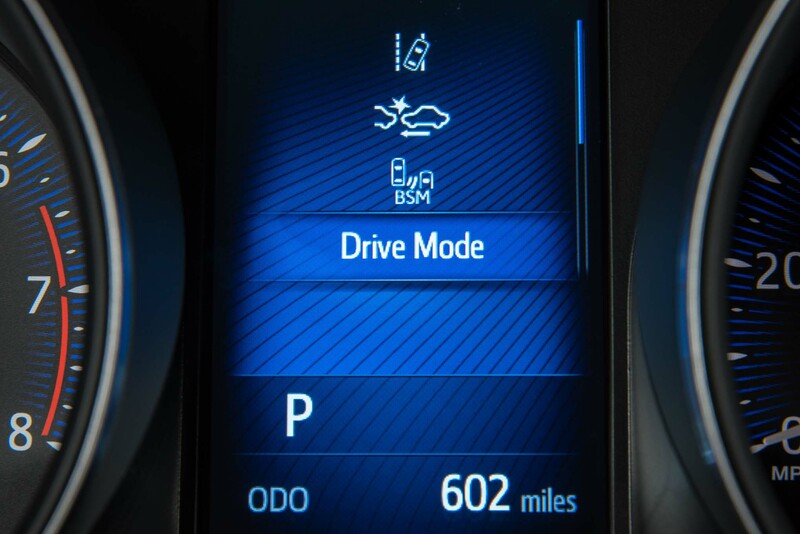 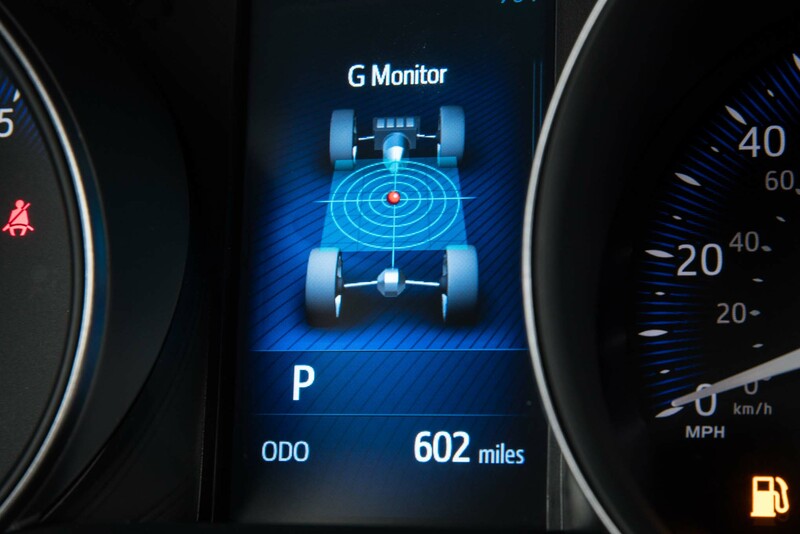 Due to the continually variable transmission, engine noise drones on until about 60 mph before a simulated shift occurs to adjust the gear ratio for freeway speeds. 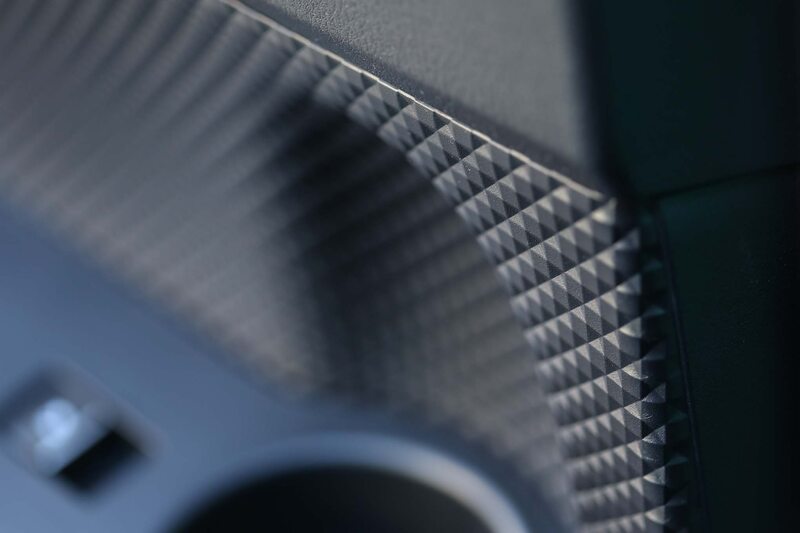 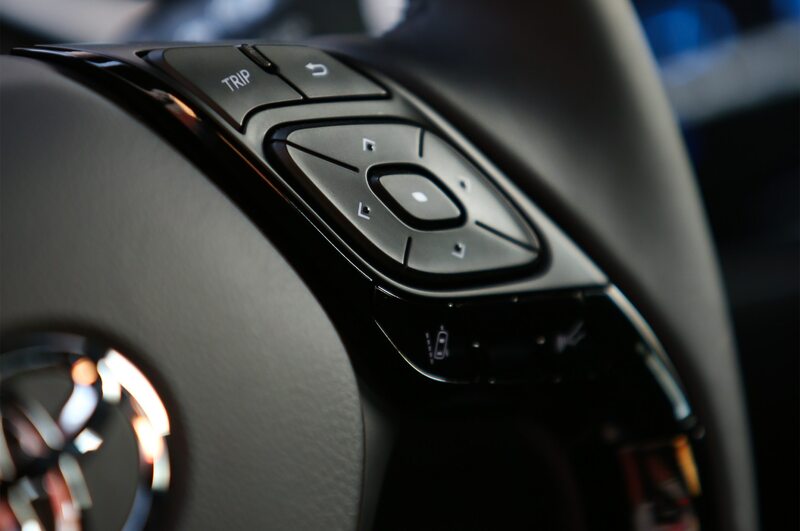 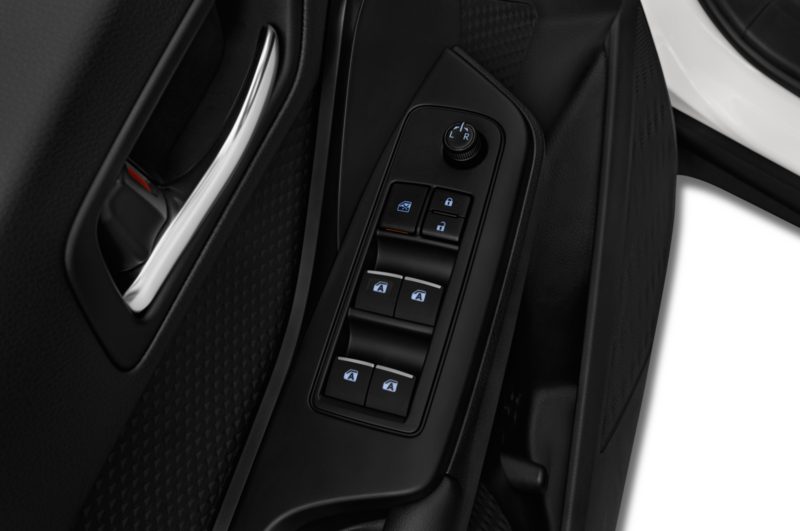 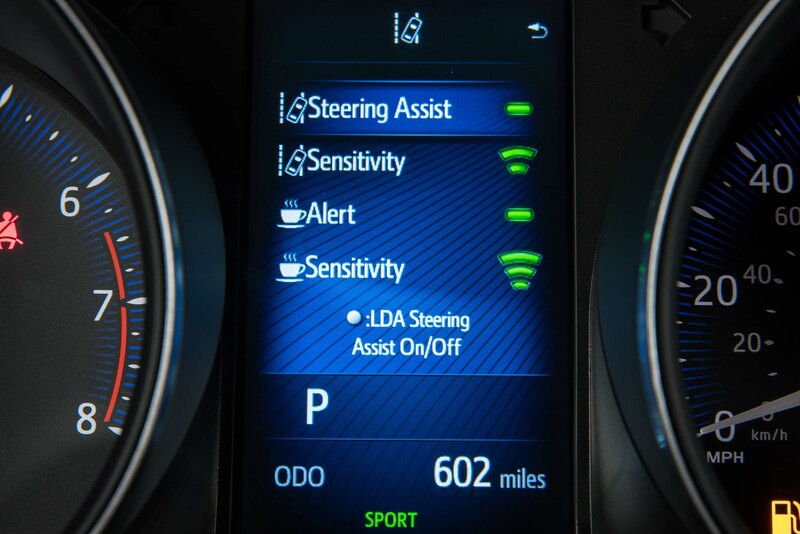 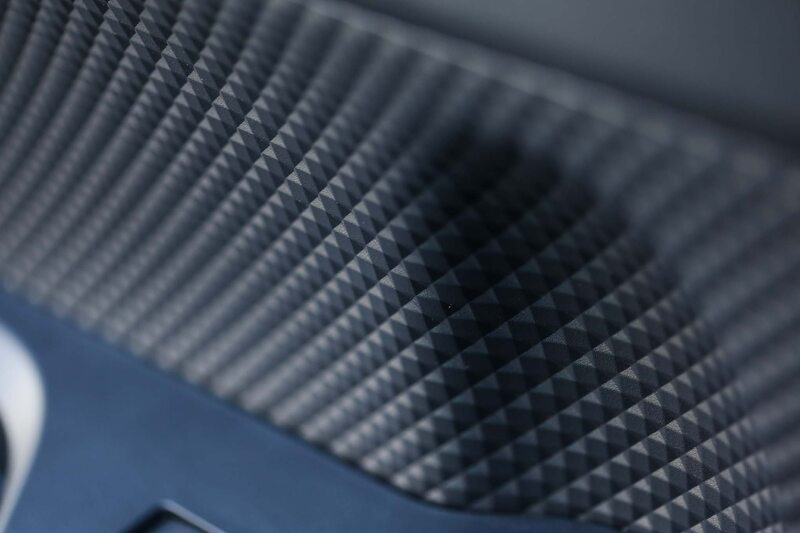 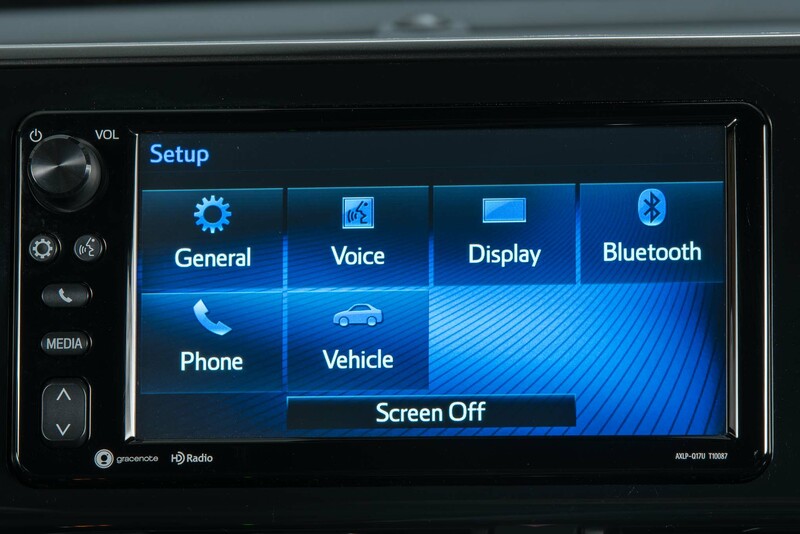 Phone connectivity is quick and easy, but a limited infotainment unit will be a letdown for drivers looking for a tech-infused car. 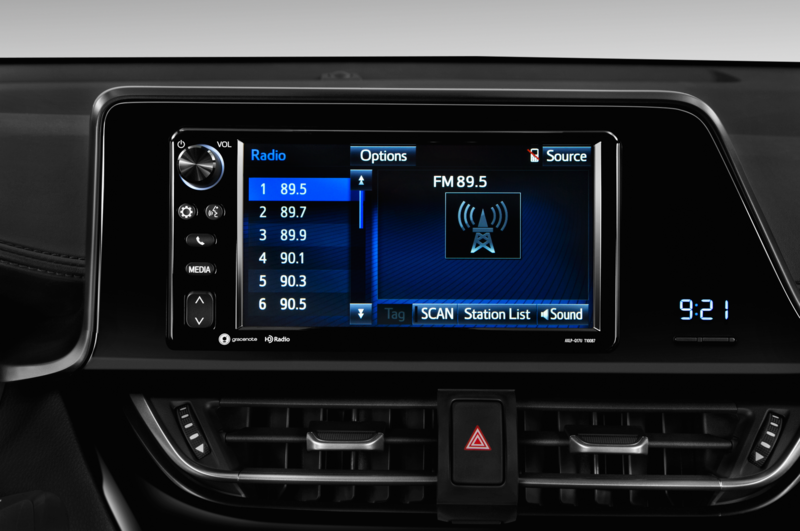 The 7.0-inch touch screen seemed archaic as it chirped and beeped while receiving user inputs. 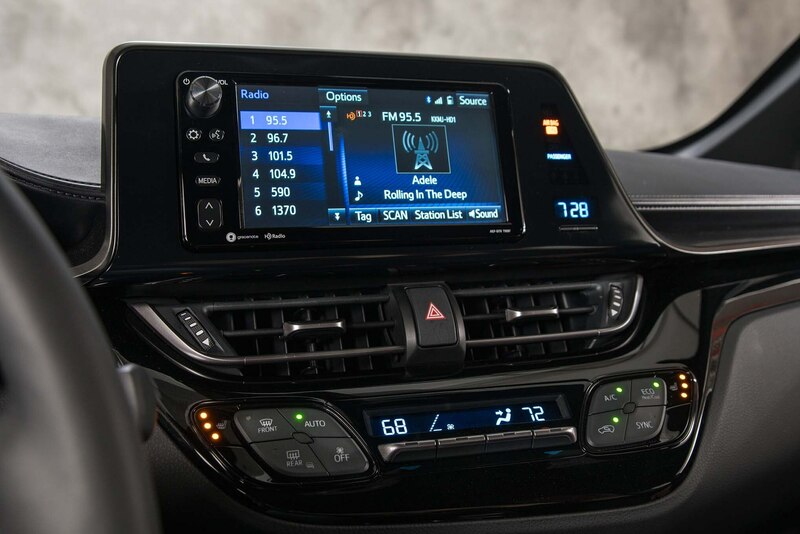 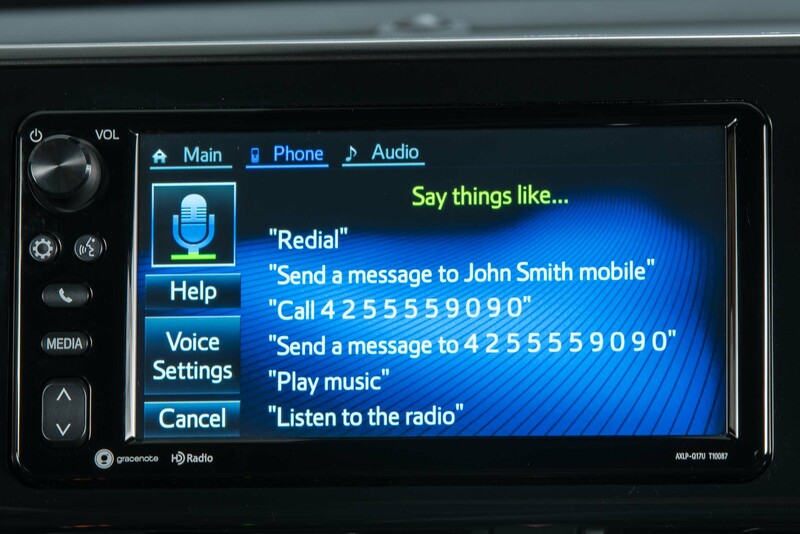 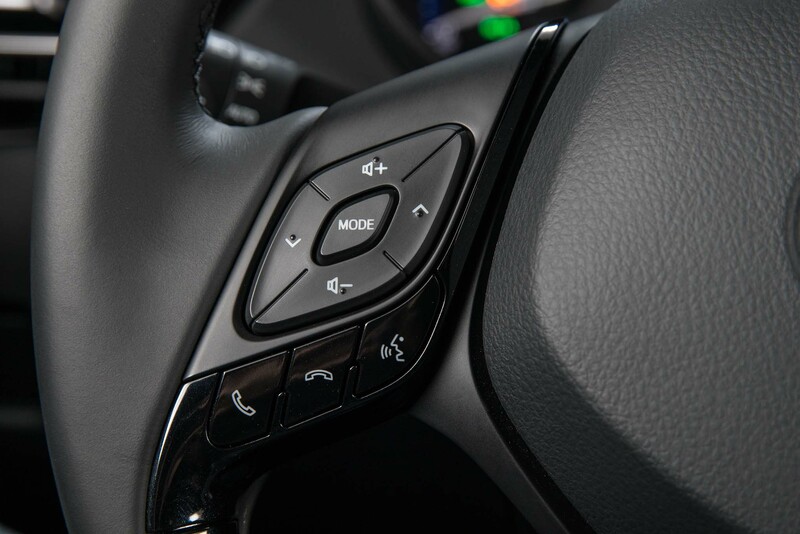 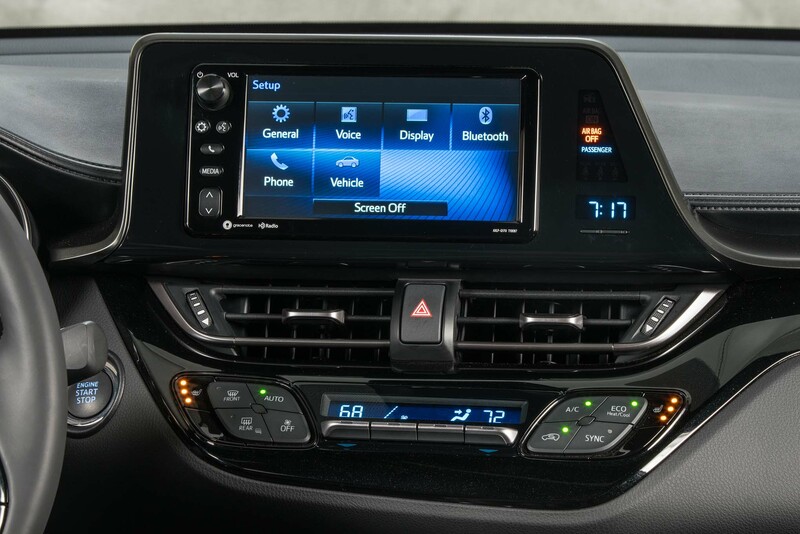 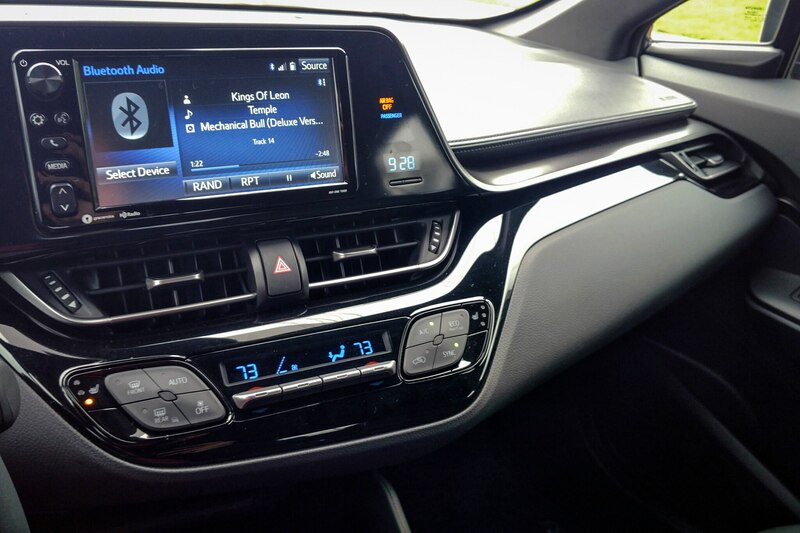 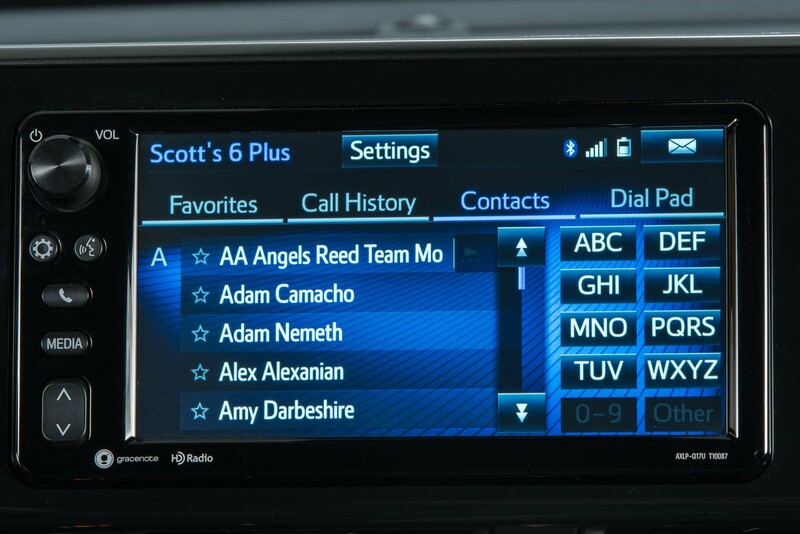 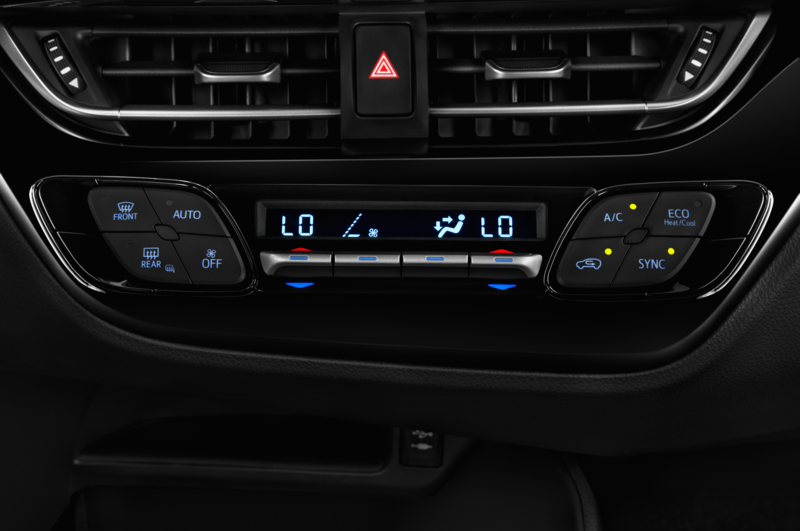 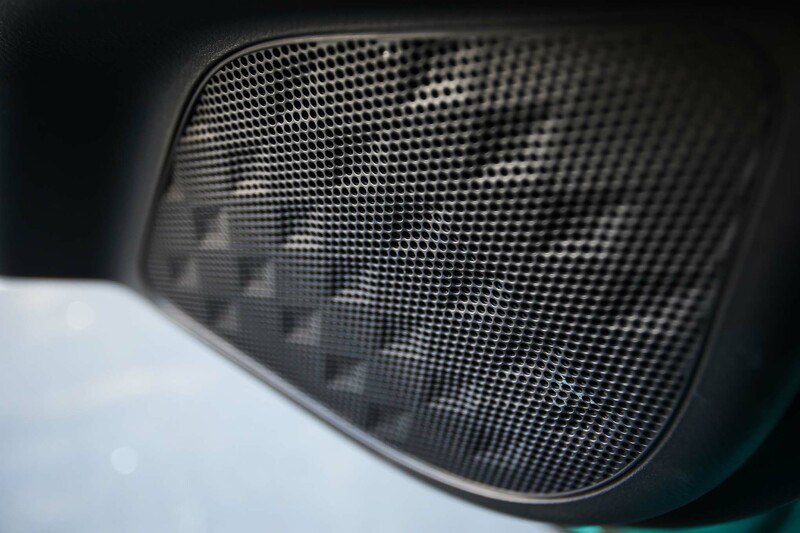 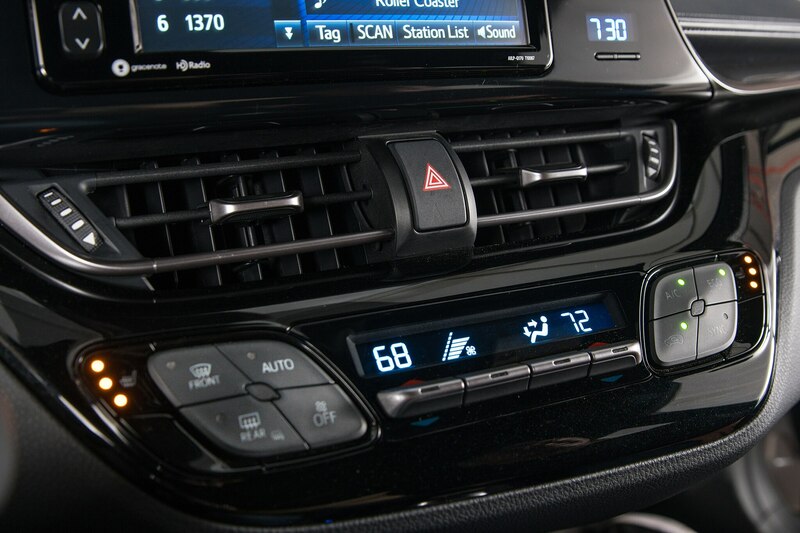 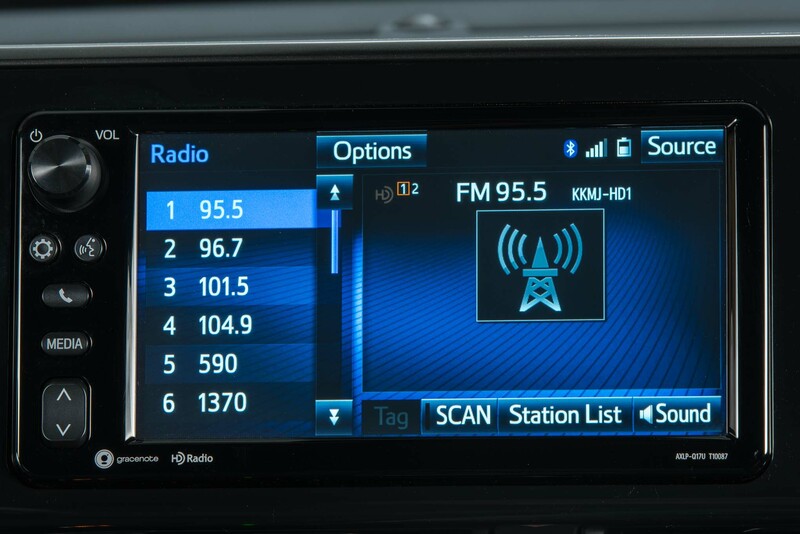 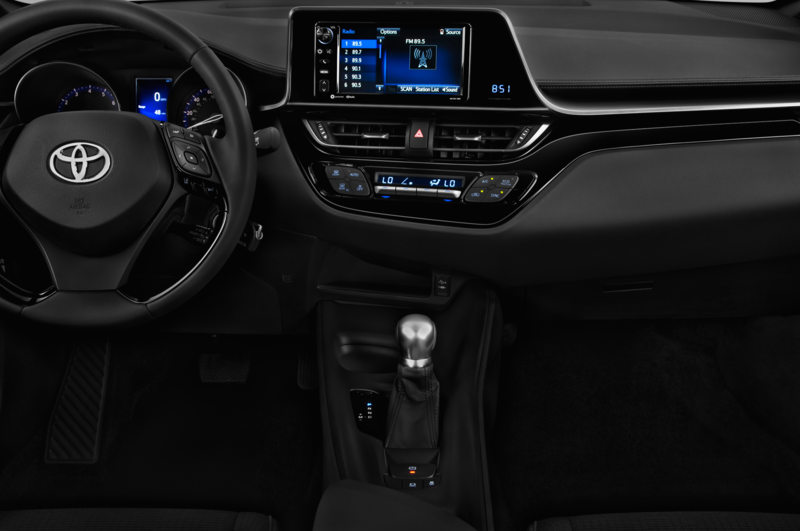 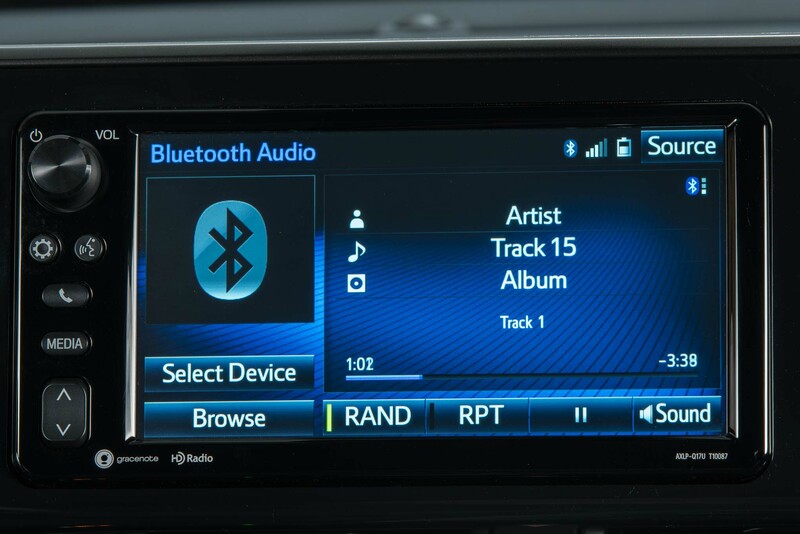 The system can’t do much more beyond serving as a traditional radio head unit than play music via Bluetooth or an auxiliary cord, handle phone calls, or read texts. 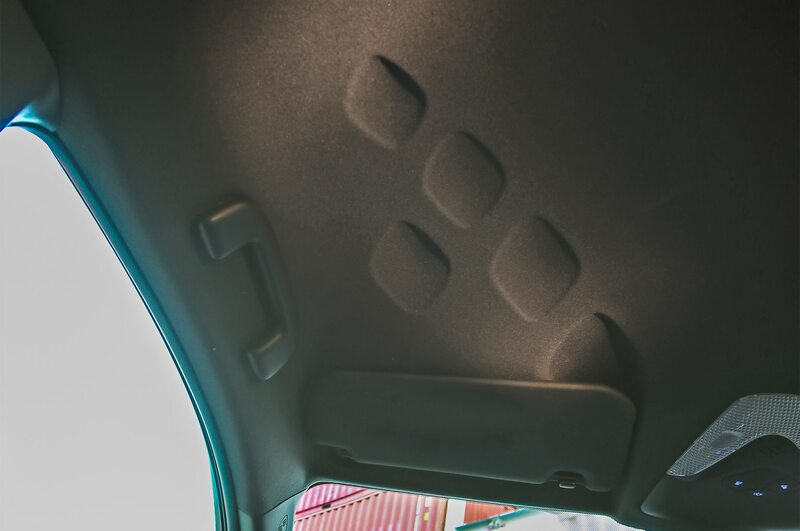 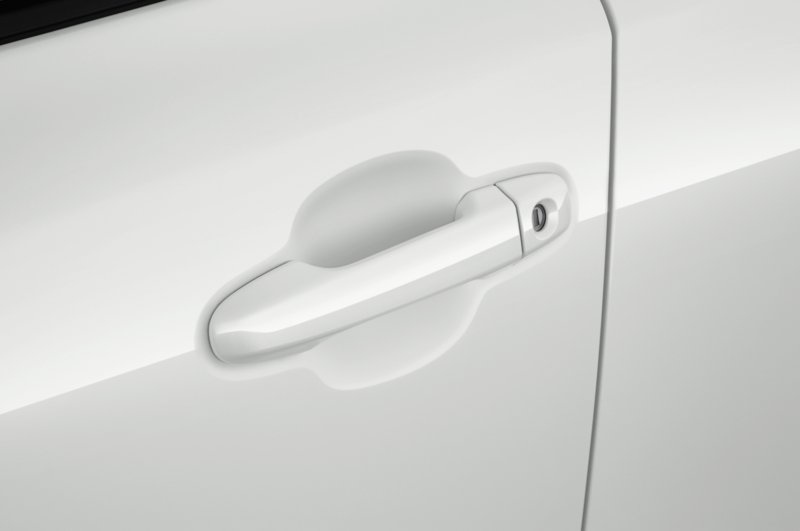 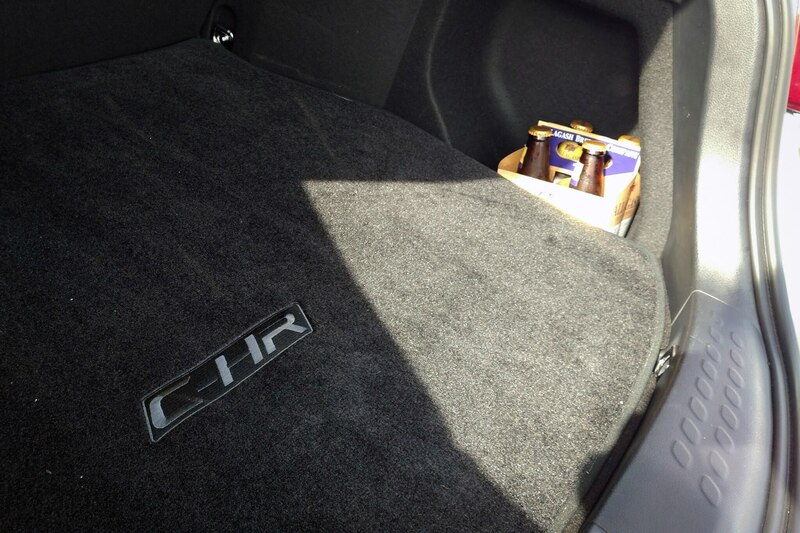 A robust safety suite helps round out the package. 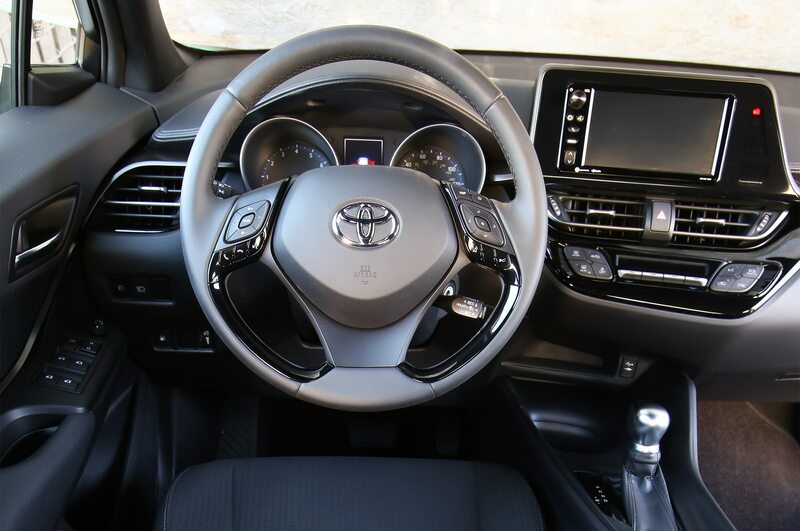 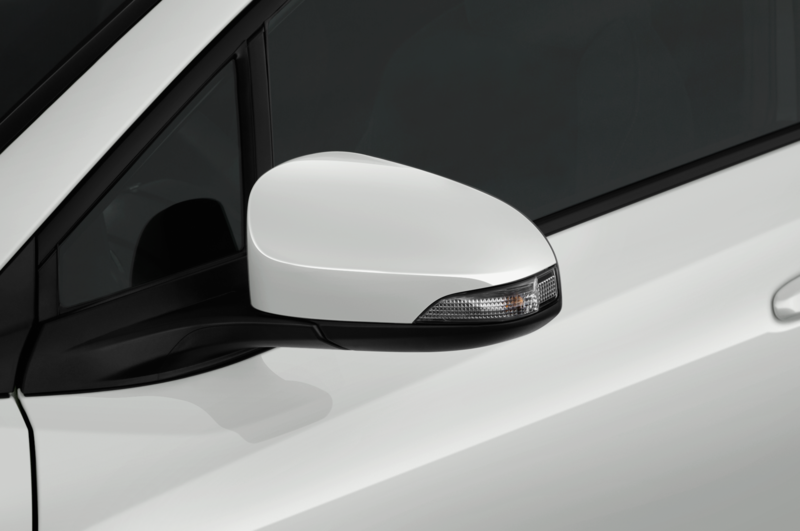 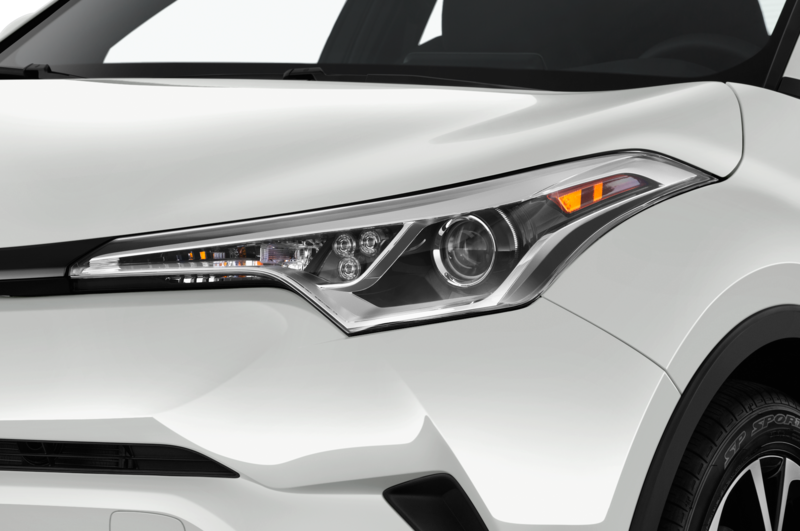 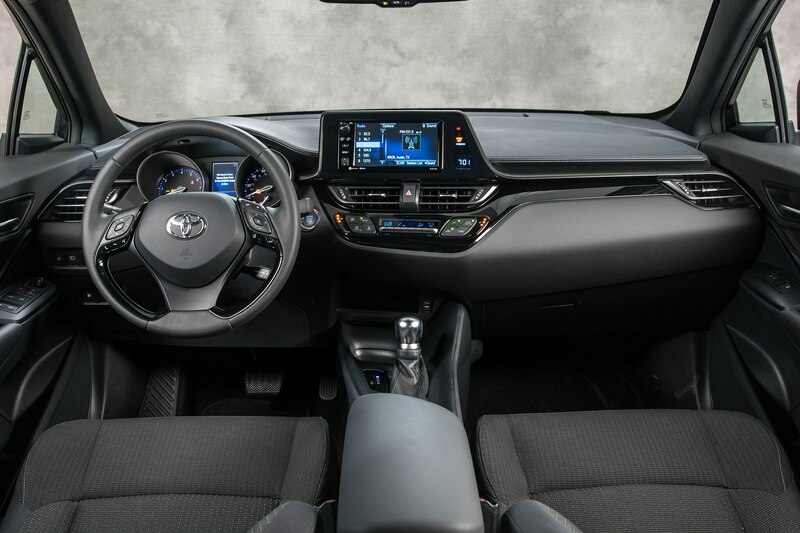 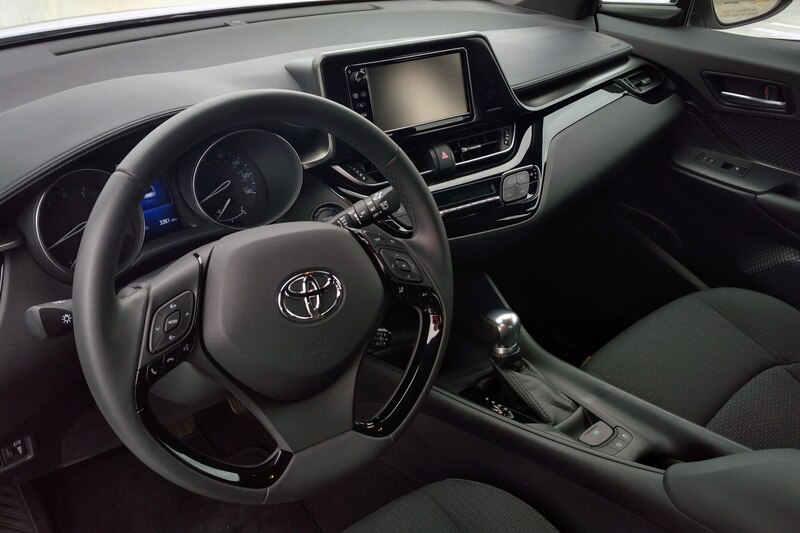 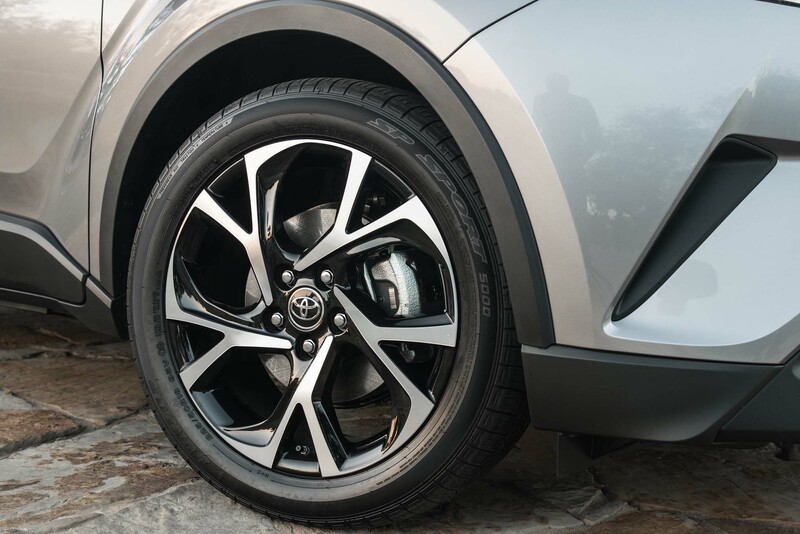 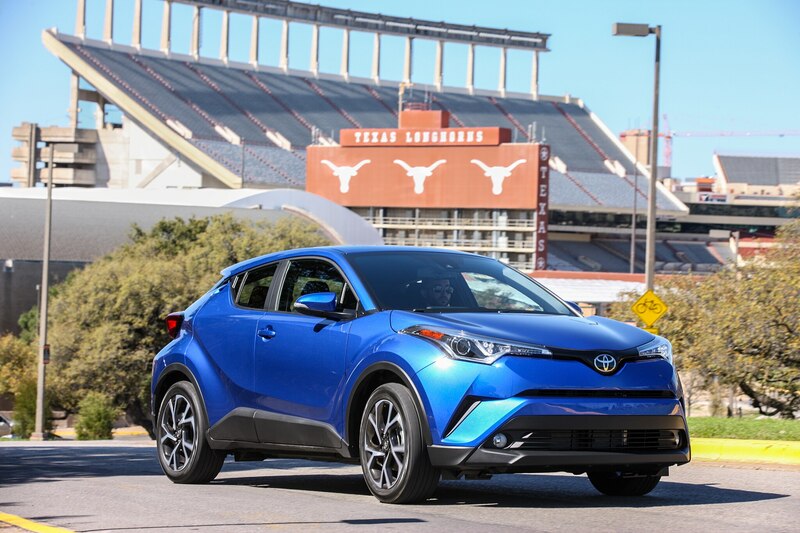 The 2018 Toyota C-HR XLE Premium has pedestrian detection, lane departure alert with steering assist as part of with Toyota’s Safety Sense and my tester also had the optional blind spot monitor and rear cross traffic alert. 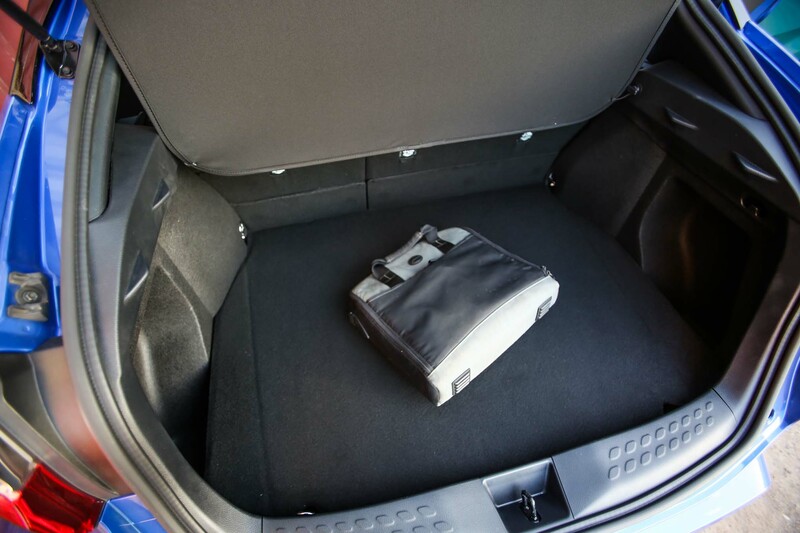 I found these systems to be helpful and unobtrusive – only kicking in when needed. 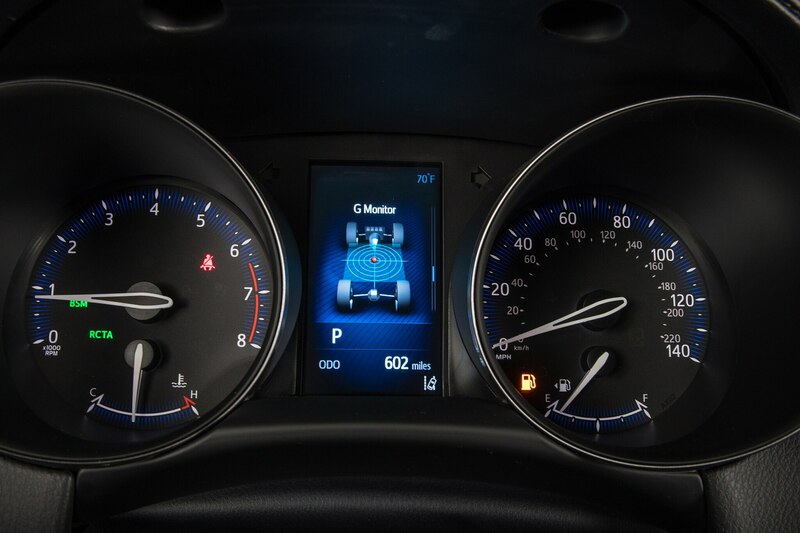 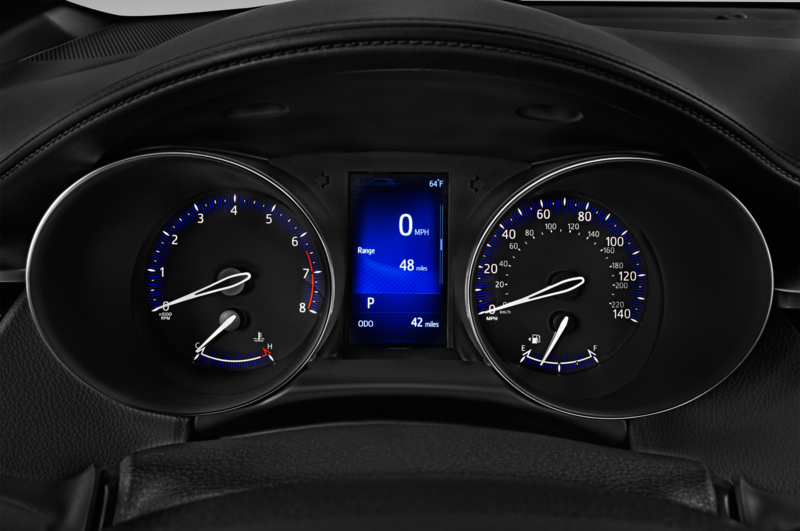 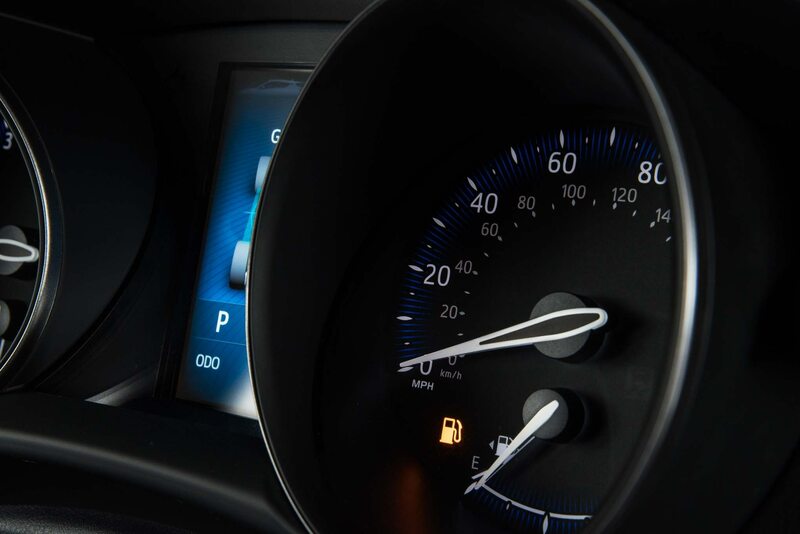 The 4.2-inch instrument cluster display allows the driver to toggle which of these safety features are active and the degree of sensitivity. 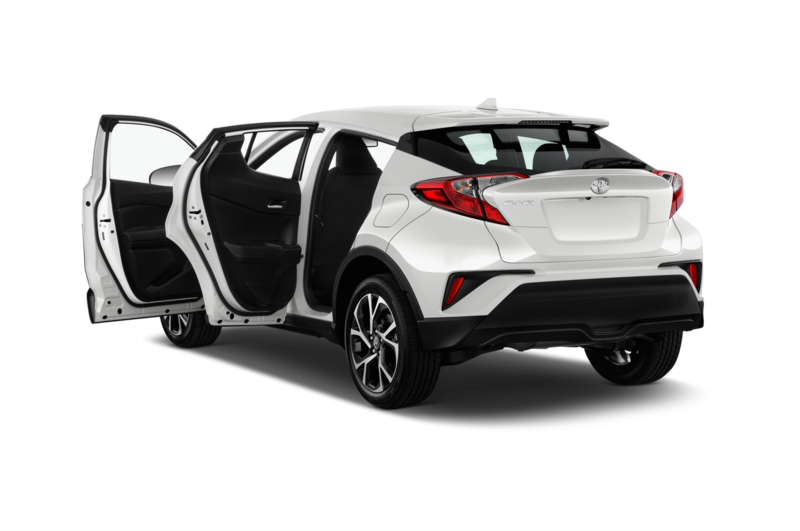 I drove as many millennial friends as possible during my time with the C-HR for opinions removed from the enthusiast community. 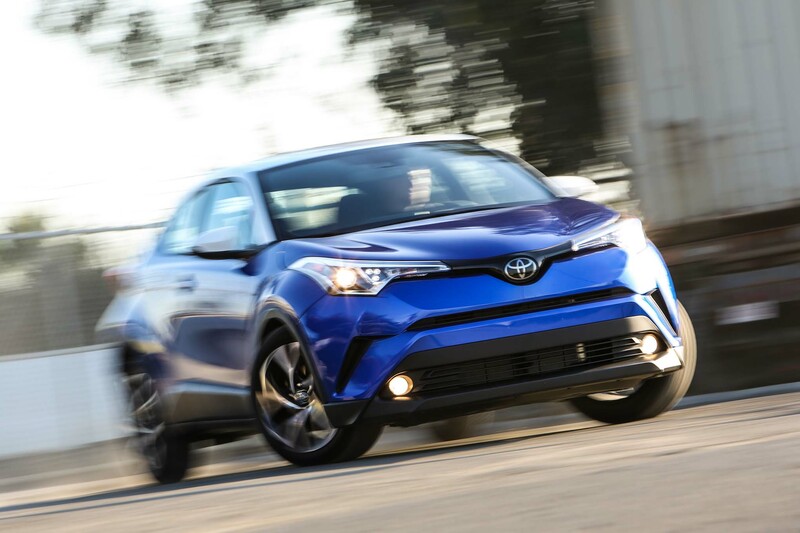 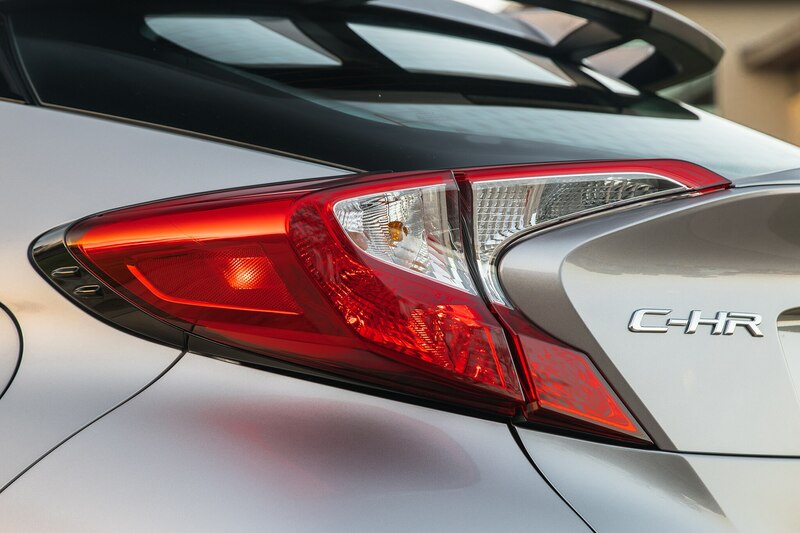 When asked up-front what they’ll look for in their next cars, price was at the forefront. 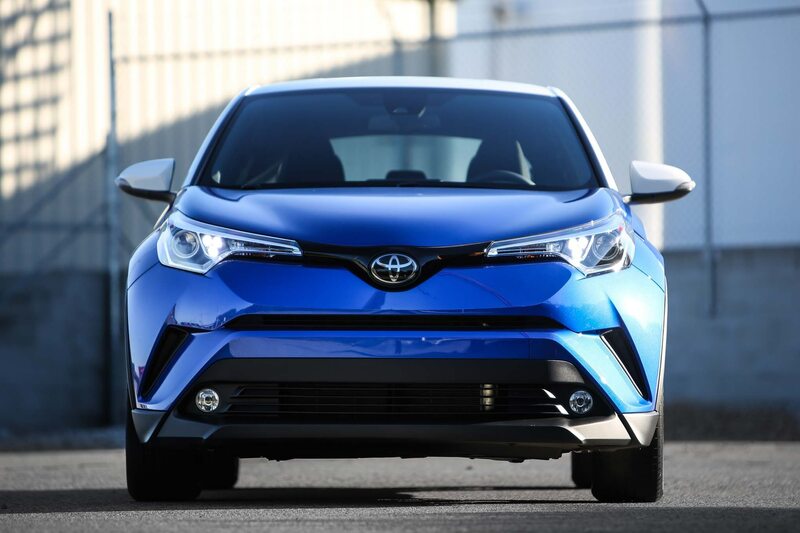 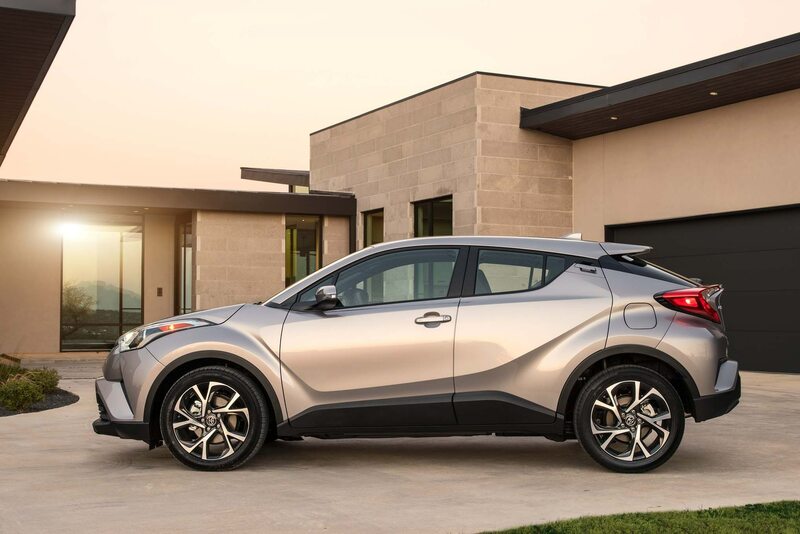 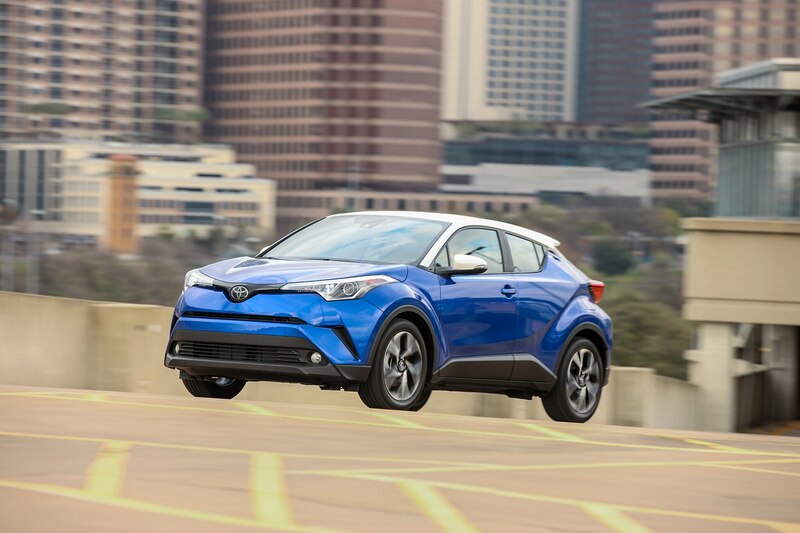 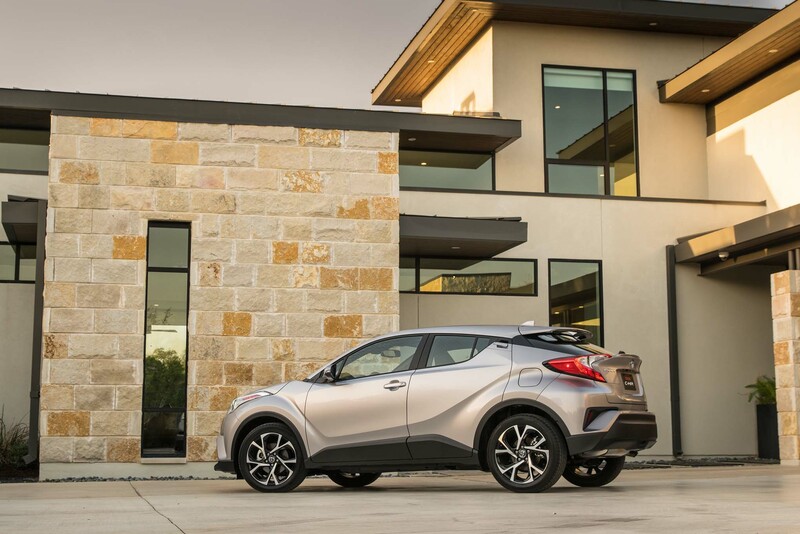 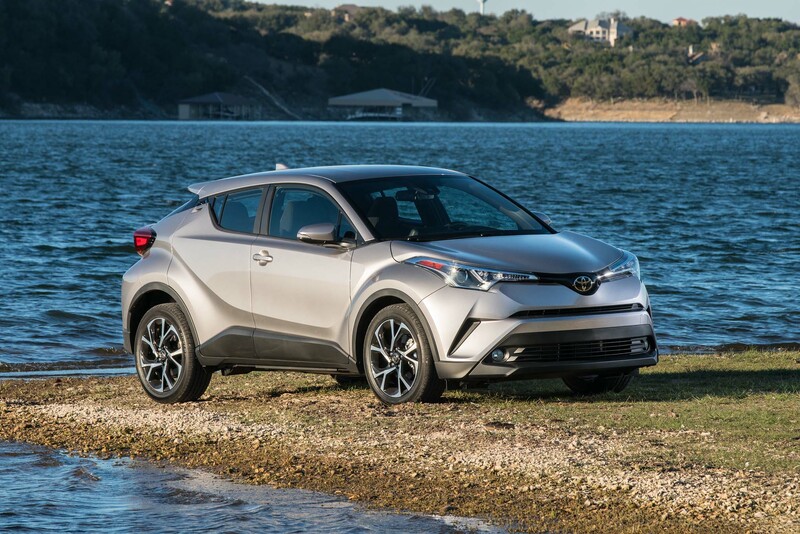 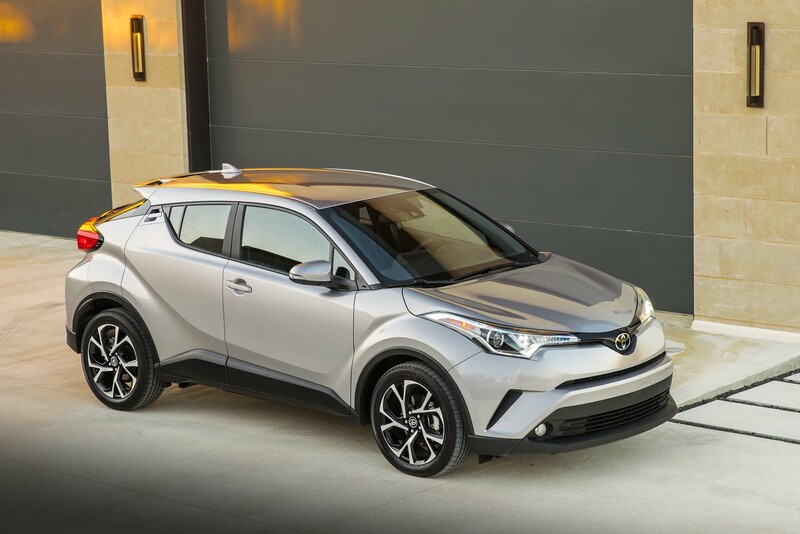 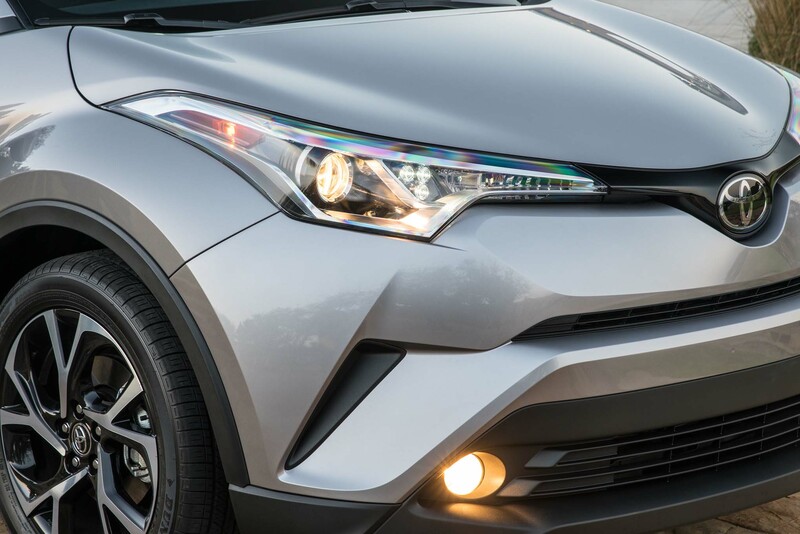 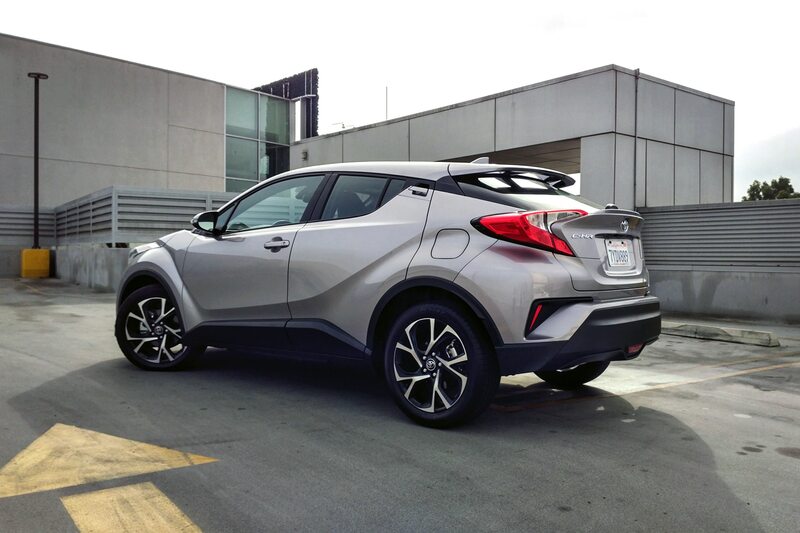 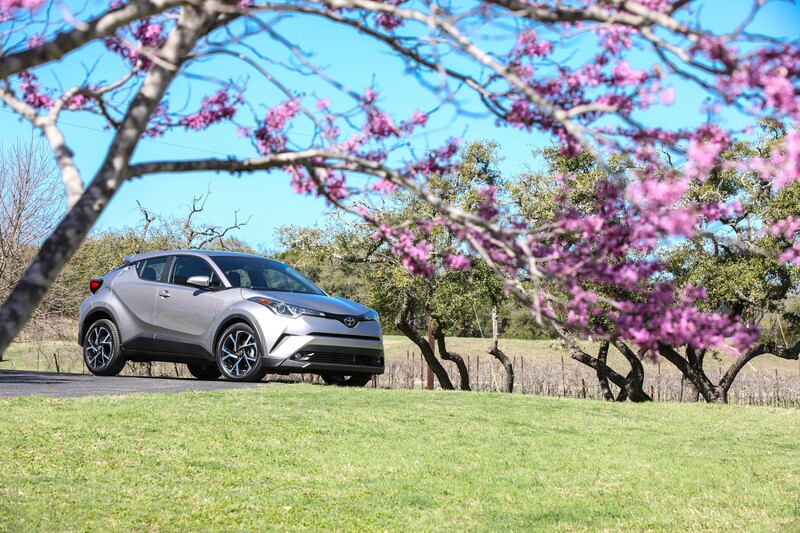 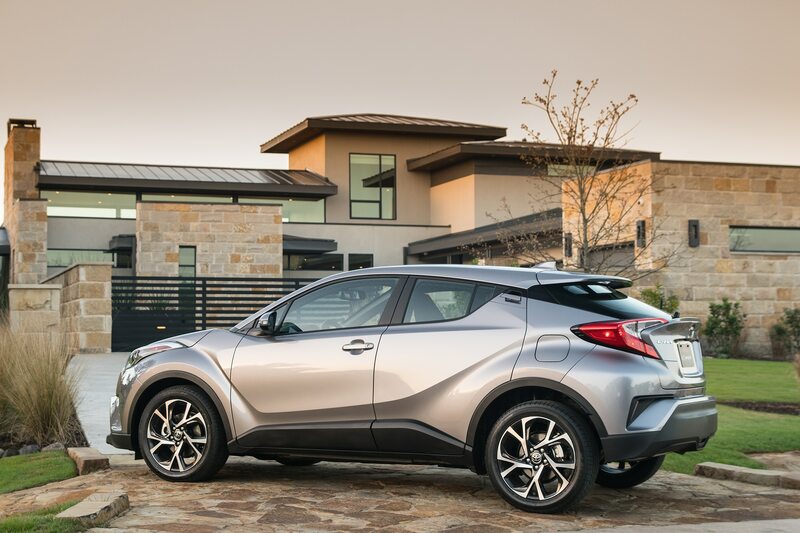 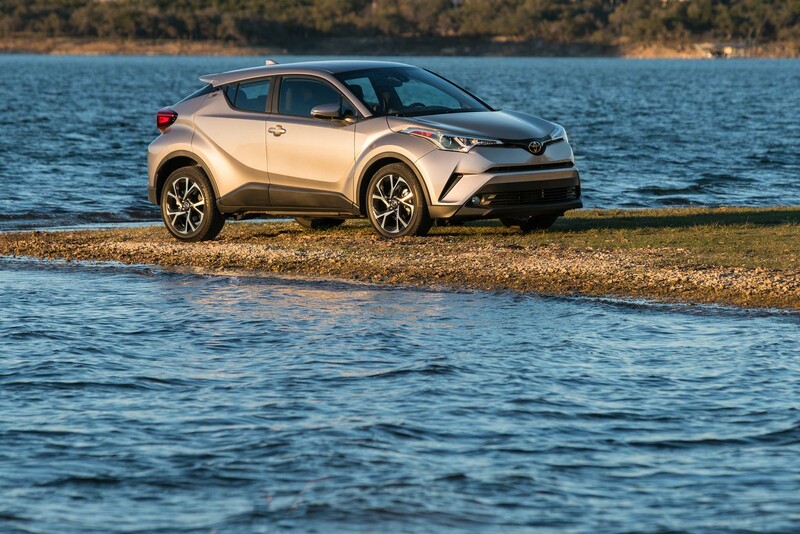 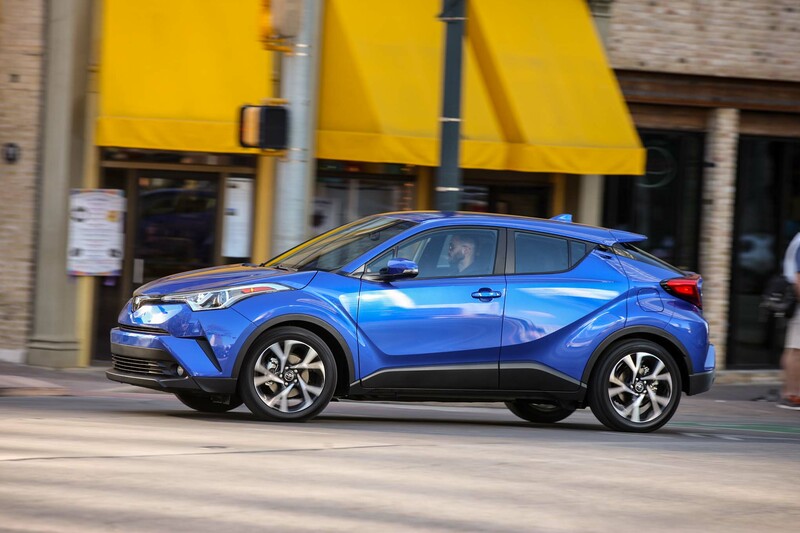 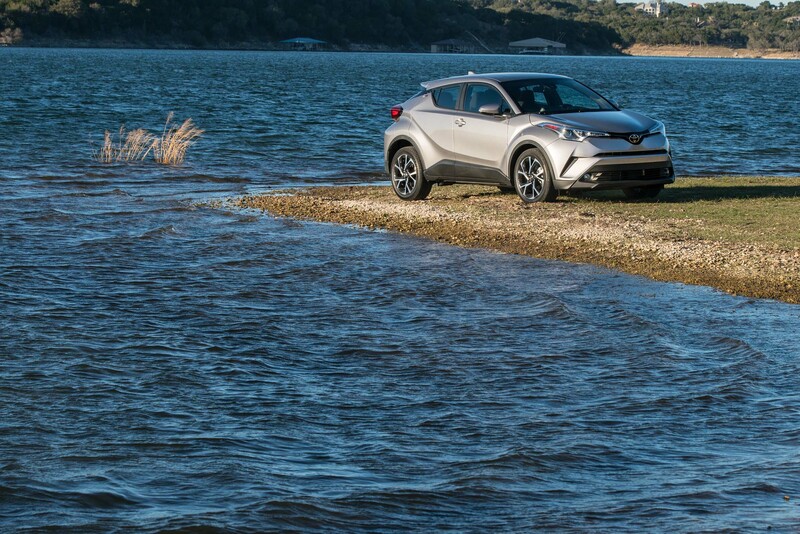 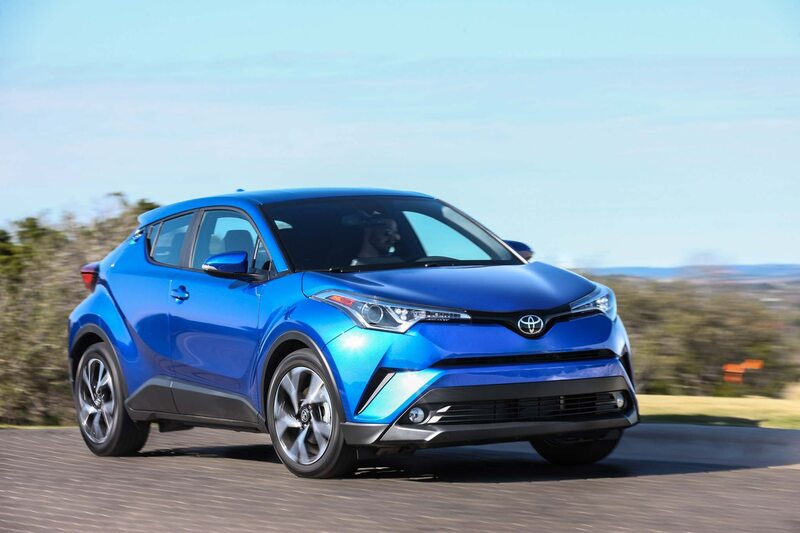 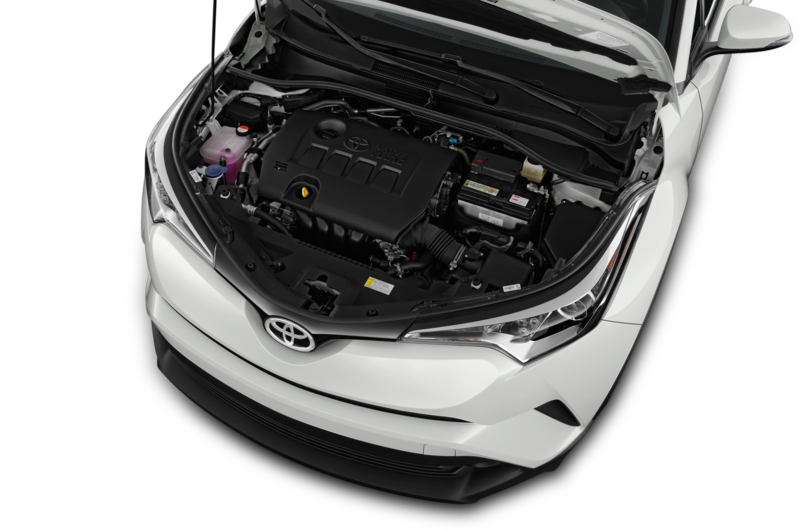 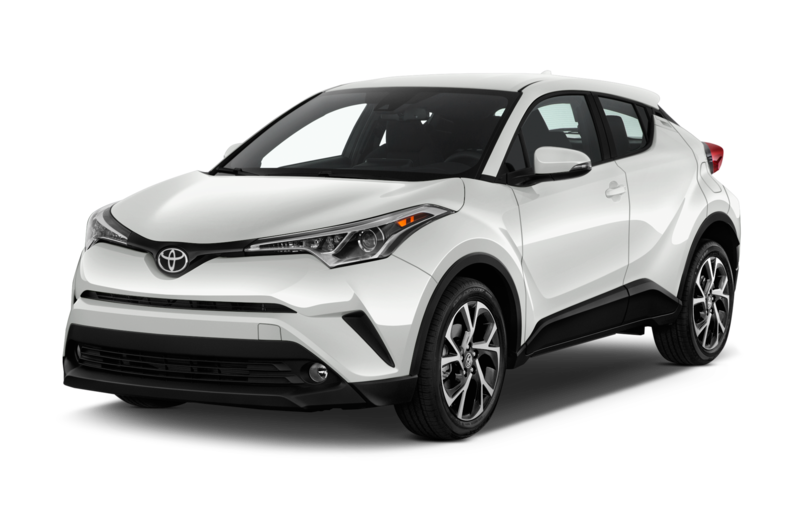 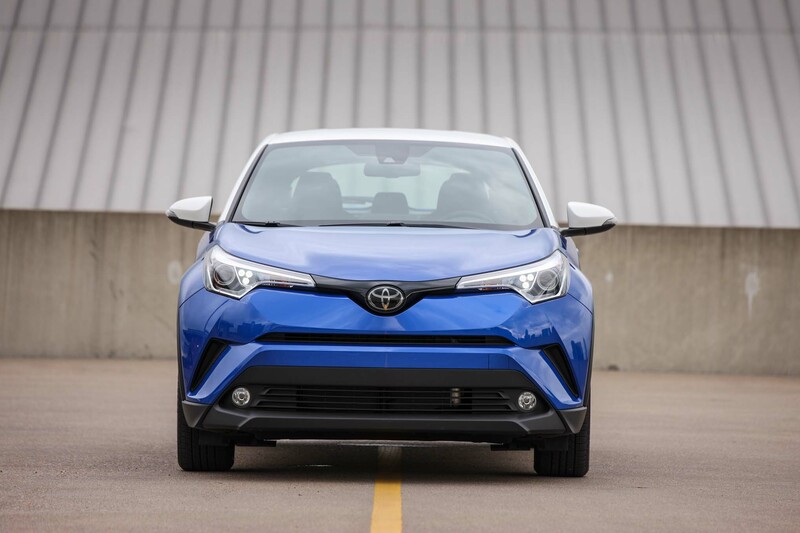 The 2018 Toyota C-HR XLE Premium’s starting price is $24,350 and as tested is priced at $25,504 after options and delivery. 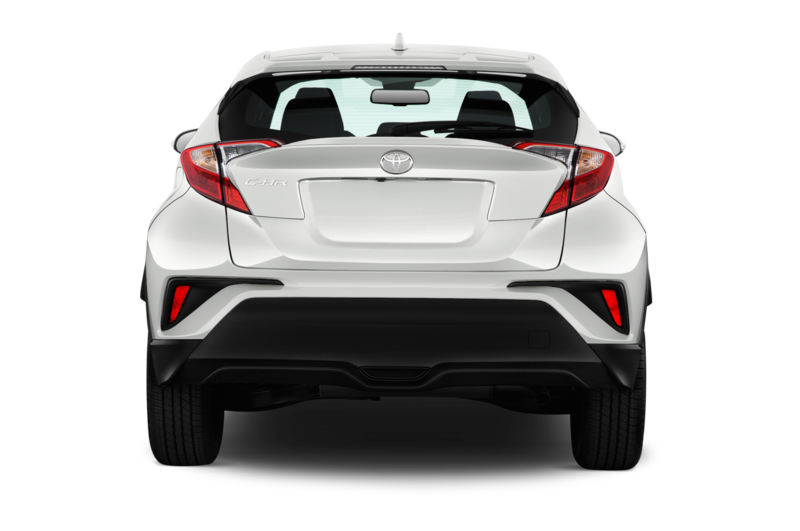 It’s a $3,000 bump over the base model, which starts at $22,500. 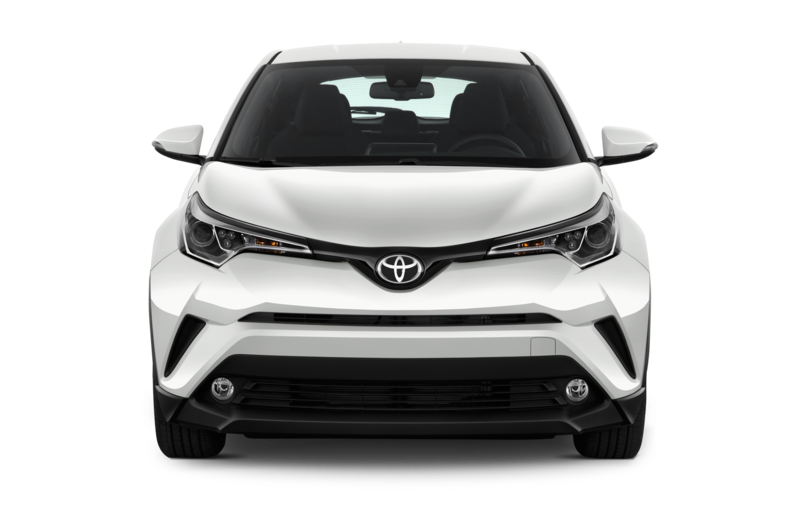 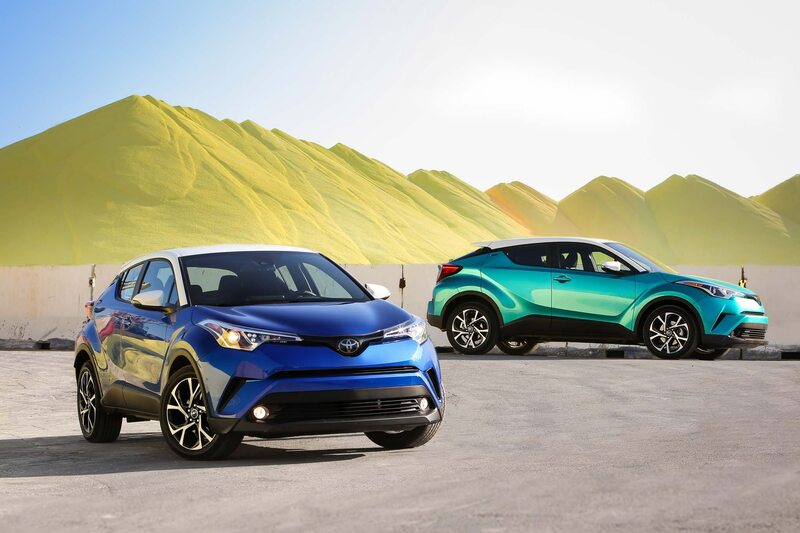 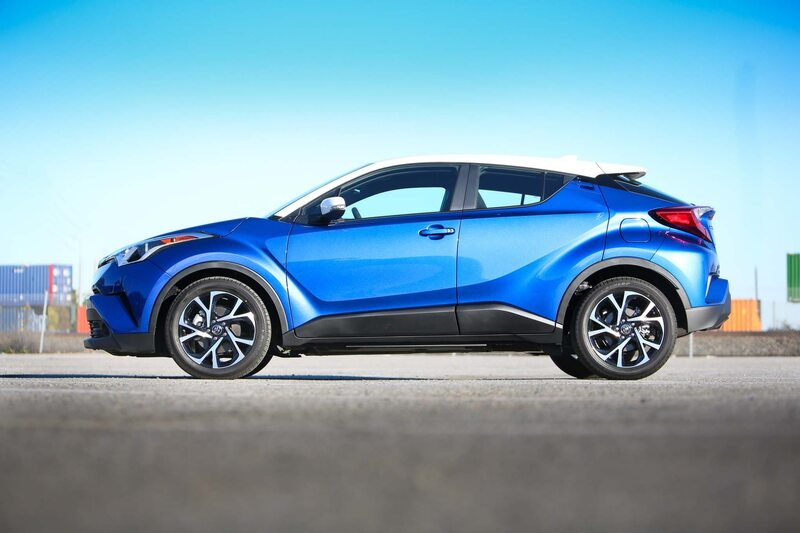 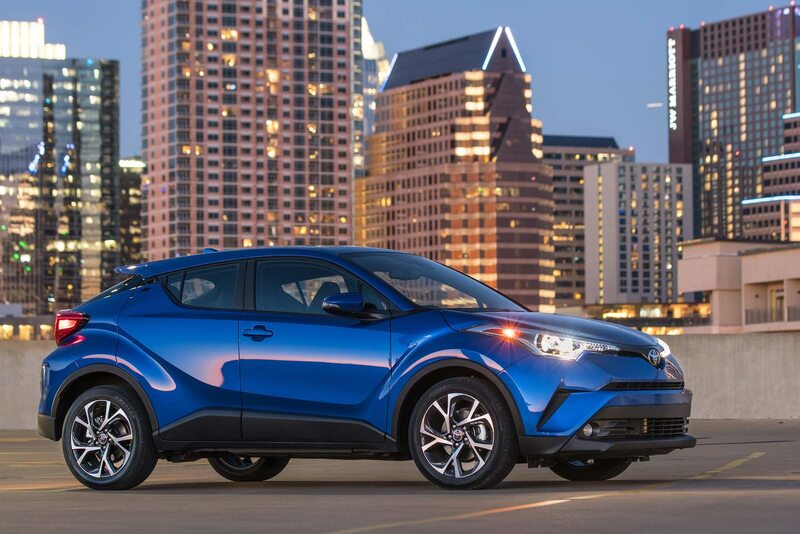 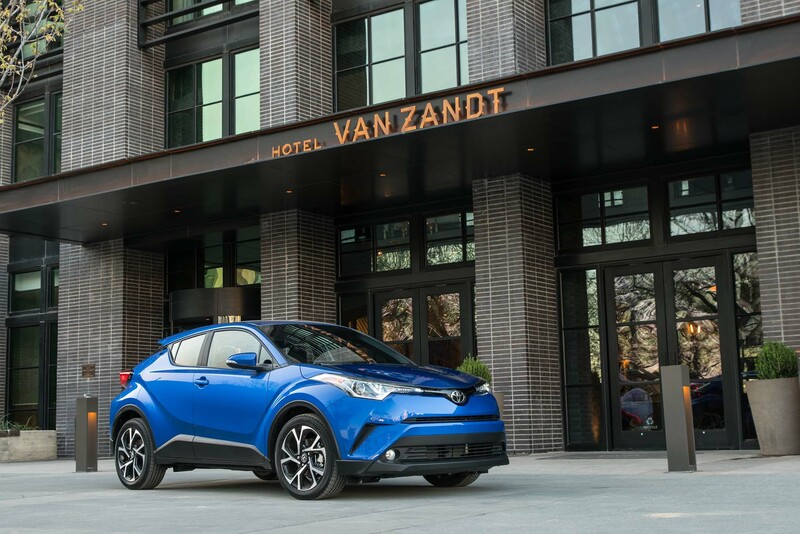 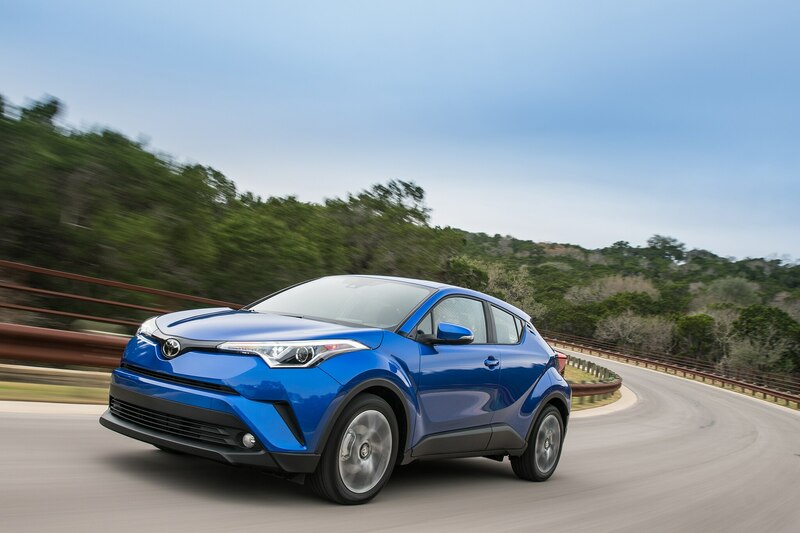 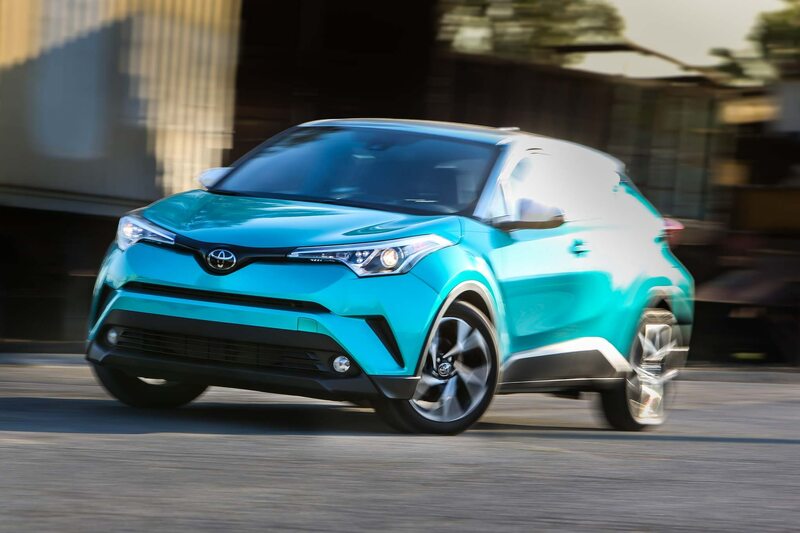 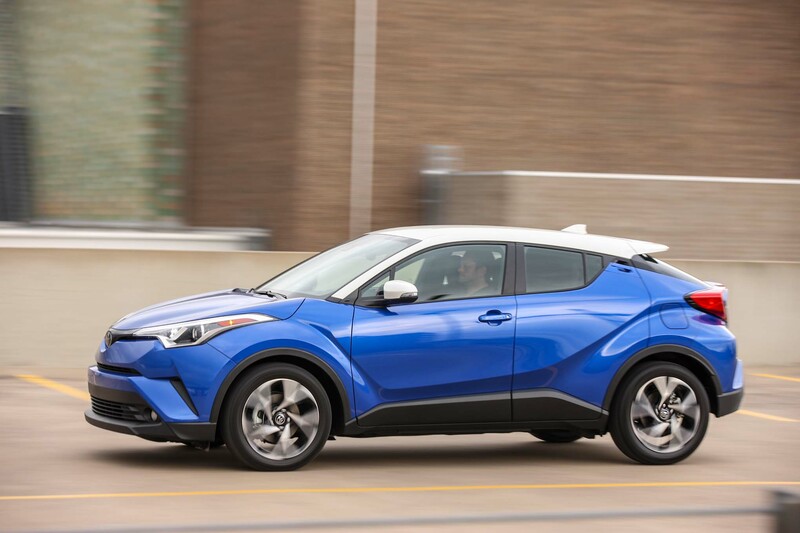 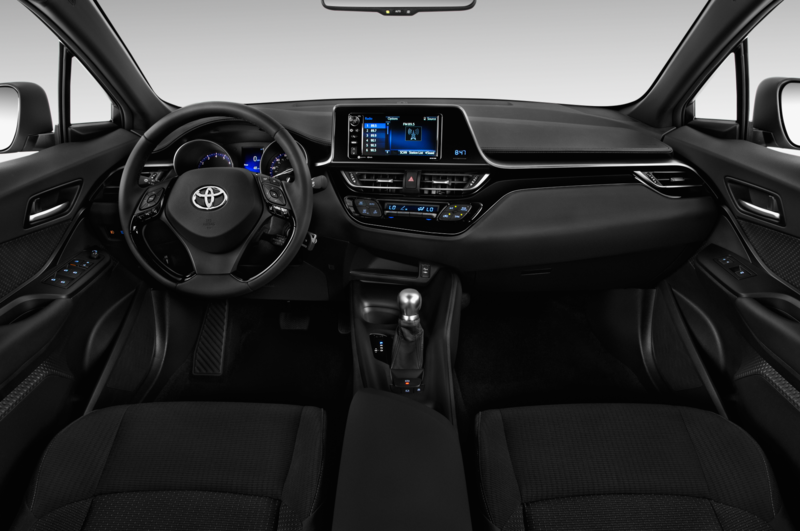 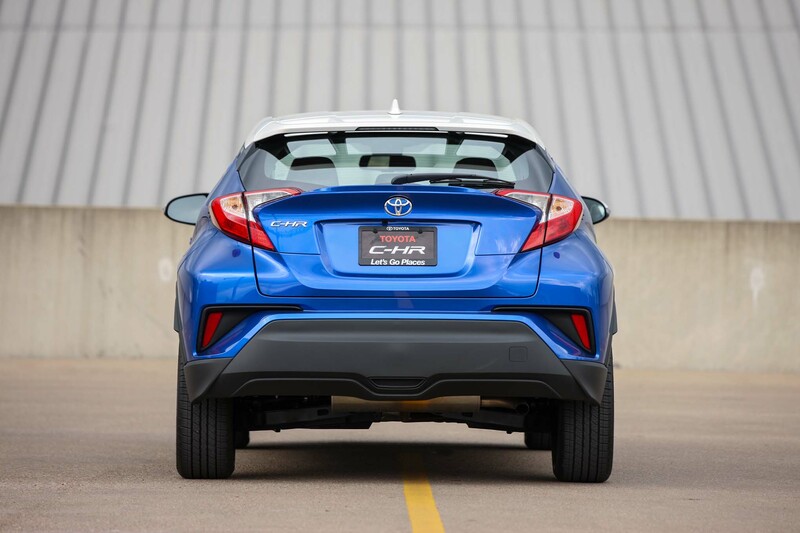 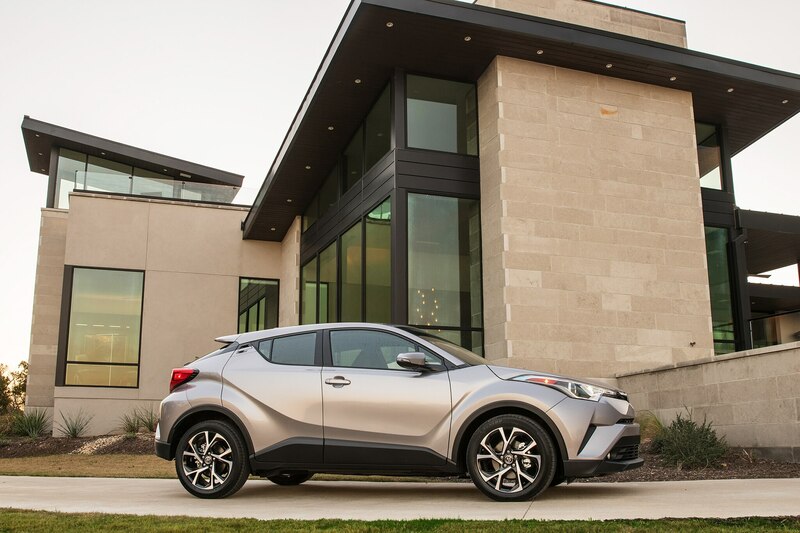 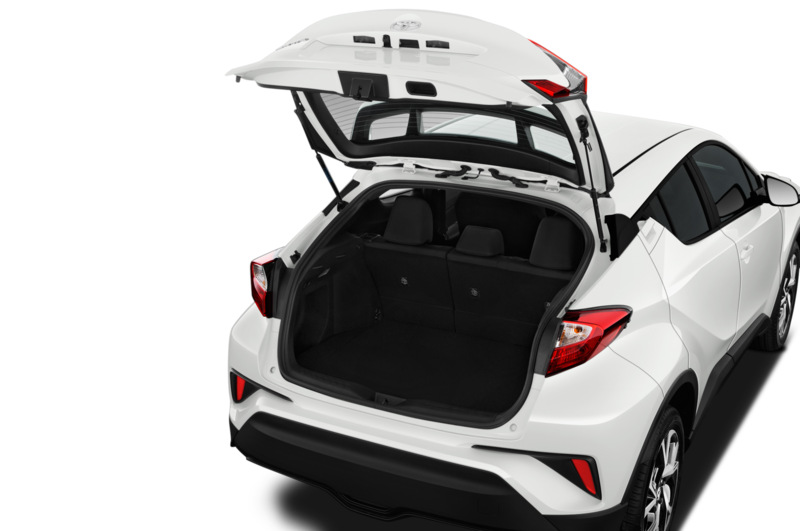 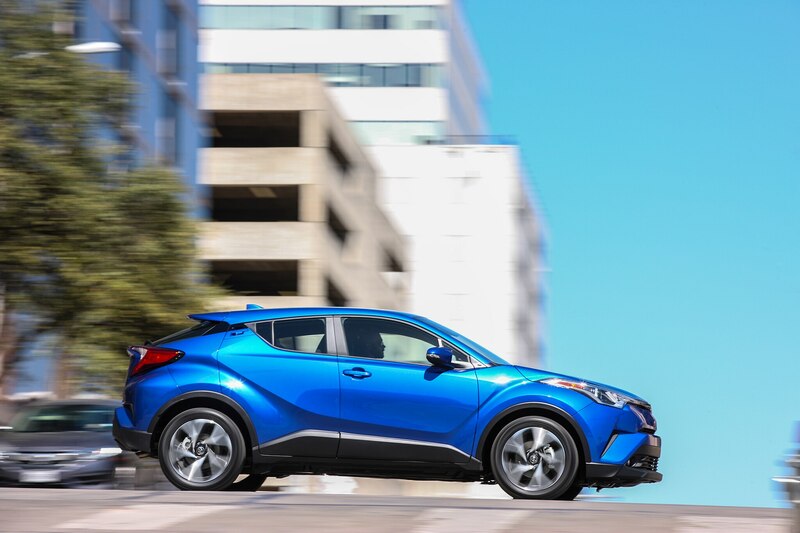 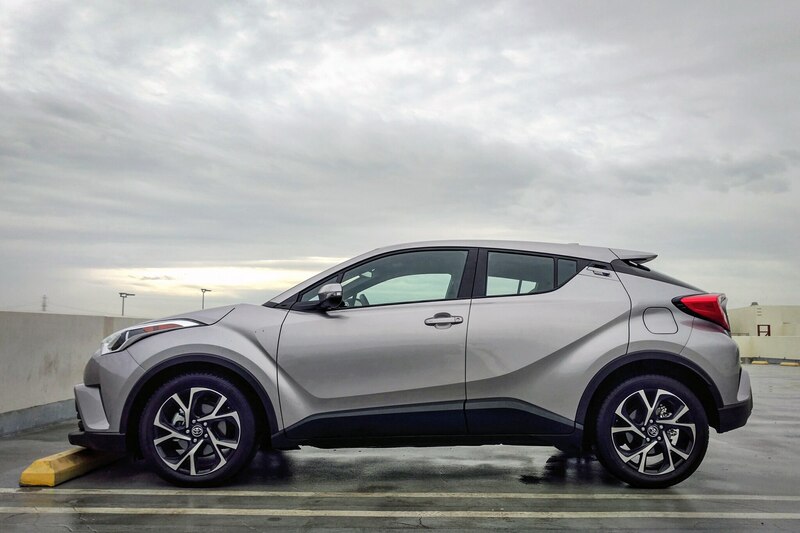 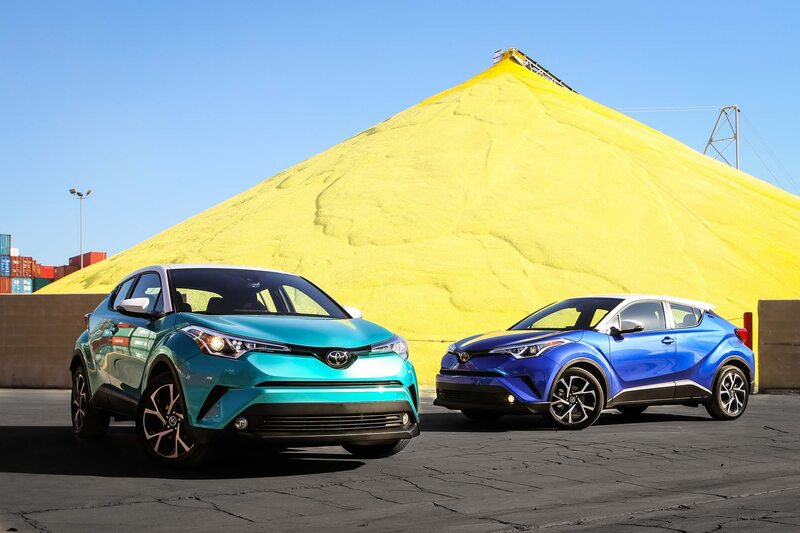 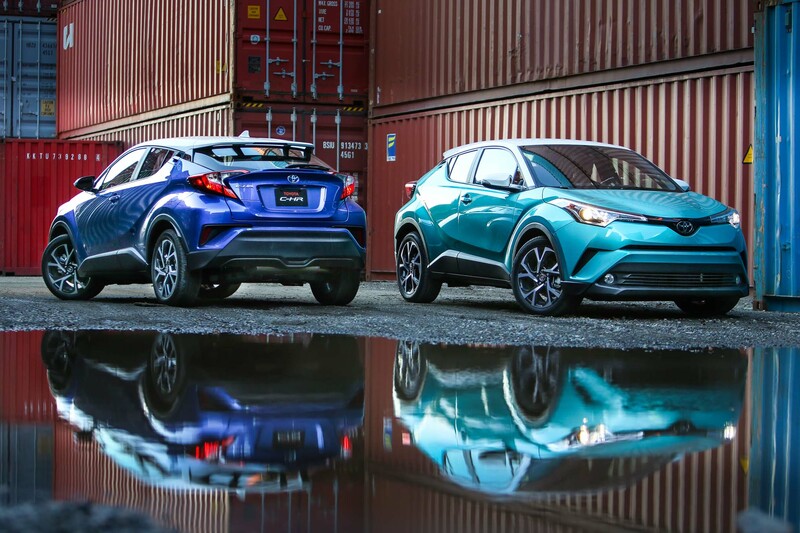 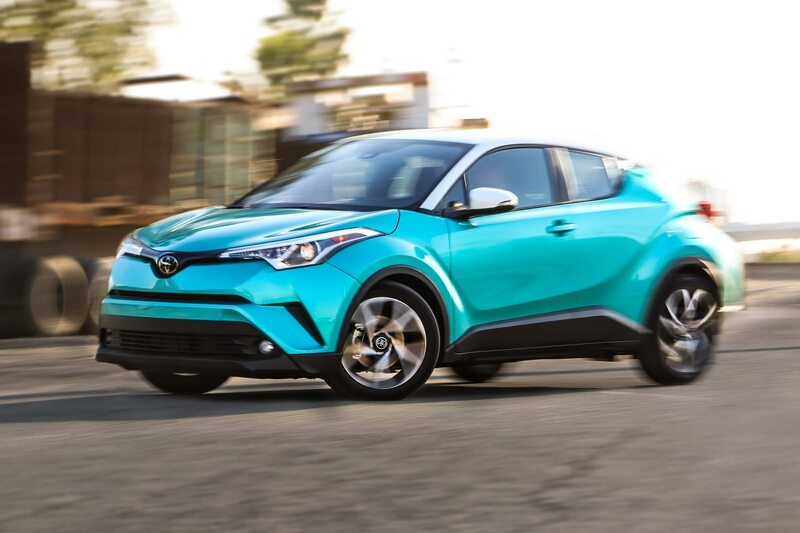 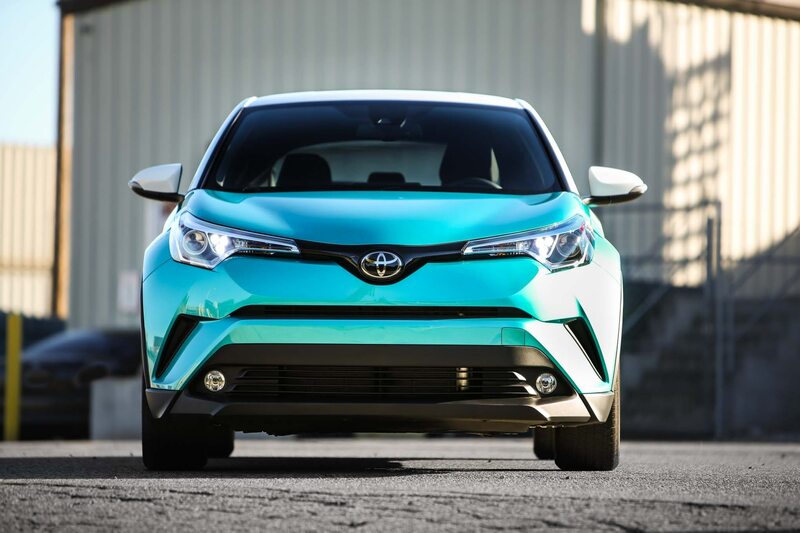 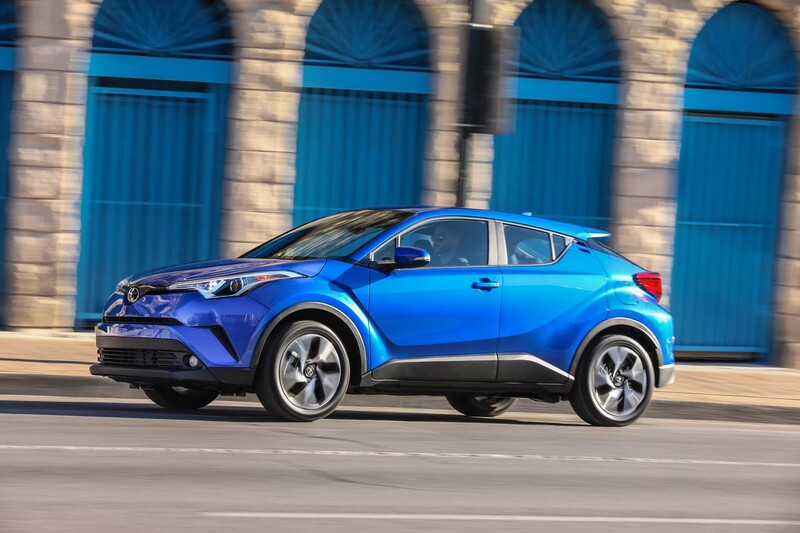 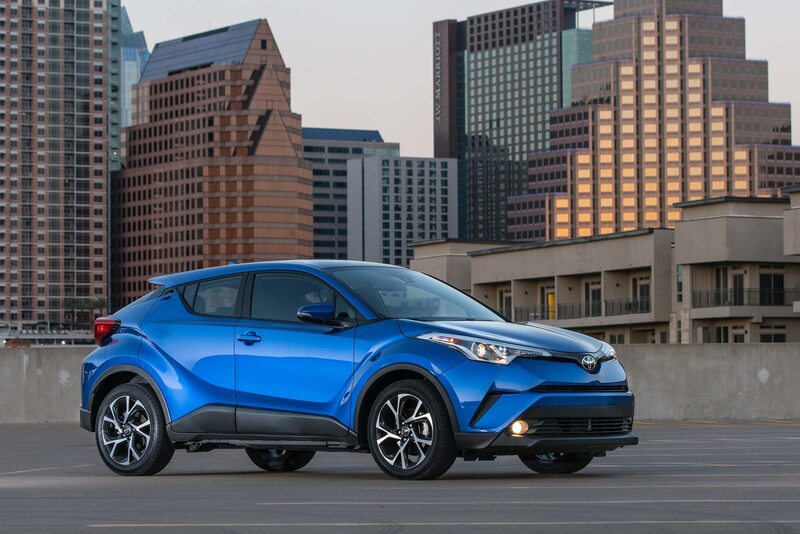 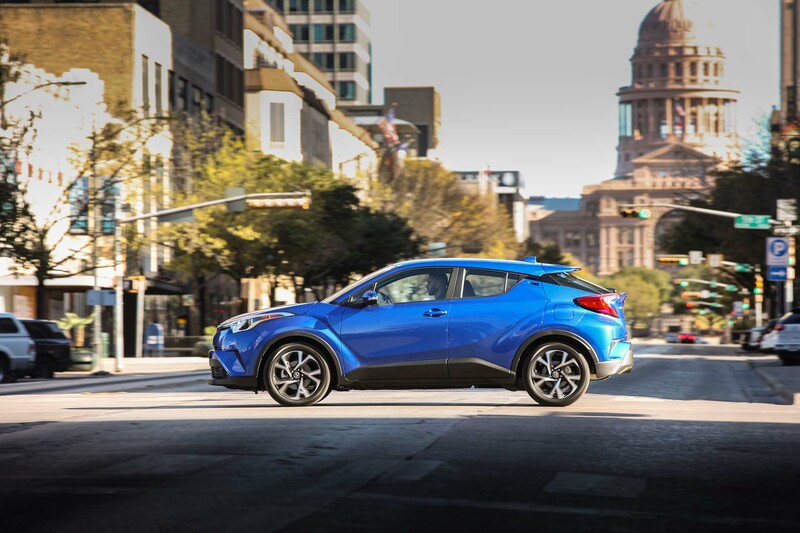 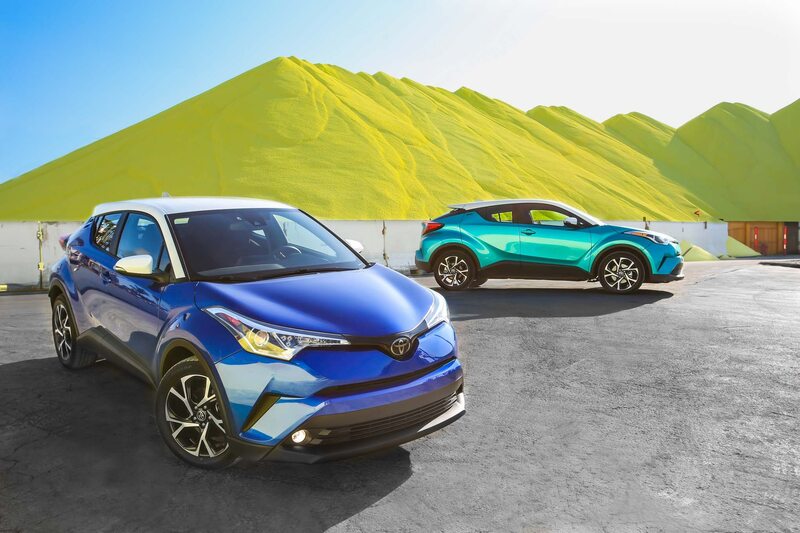 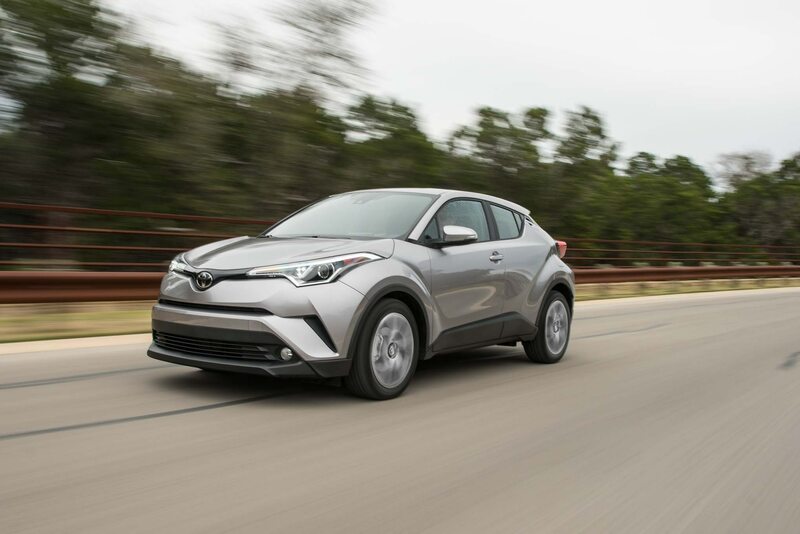 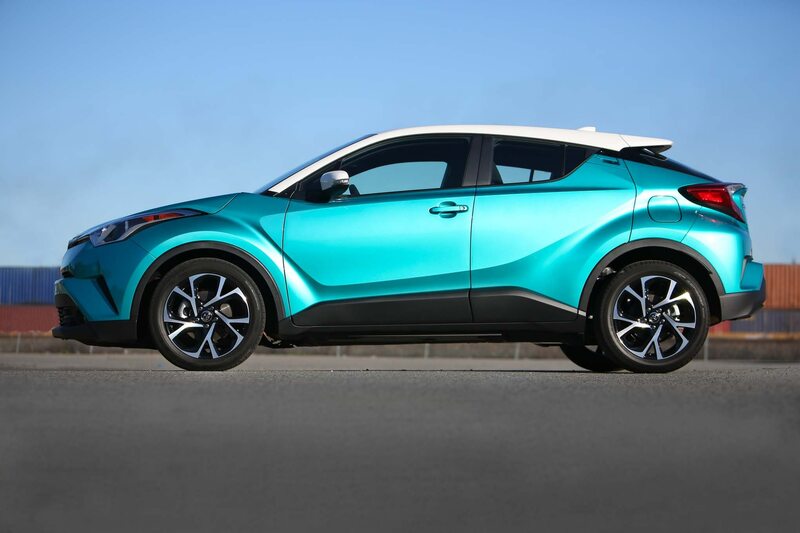 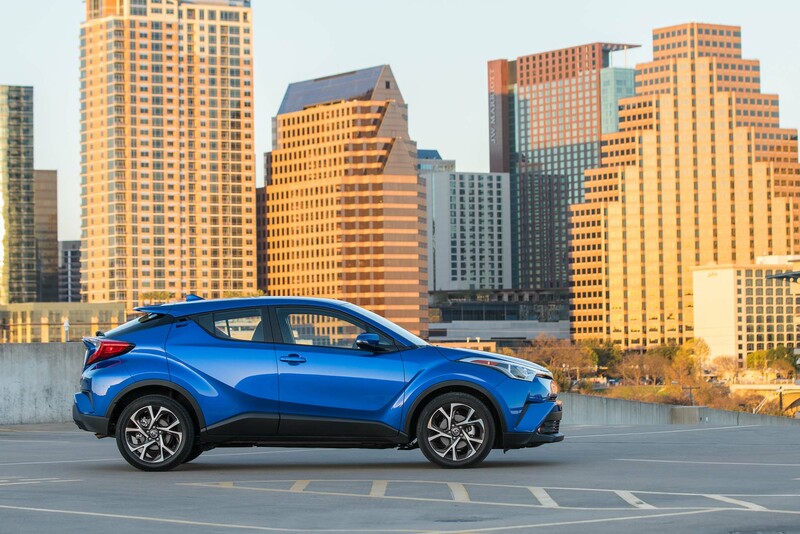 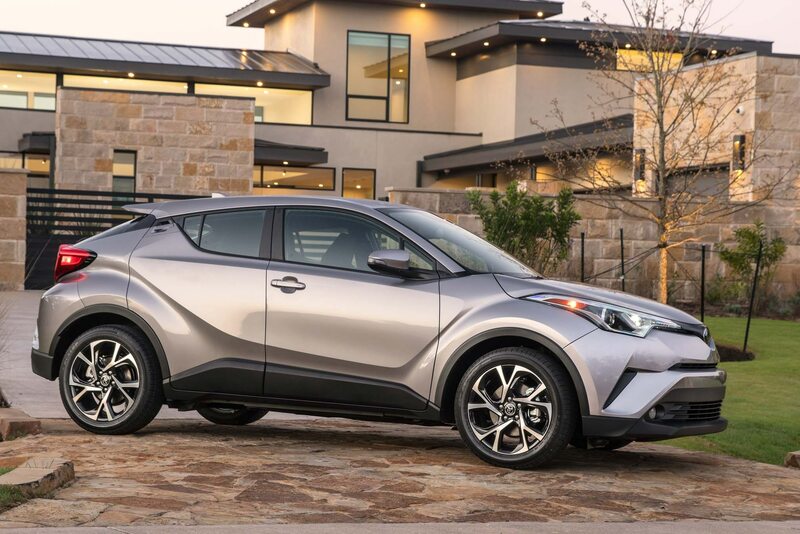 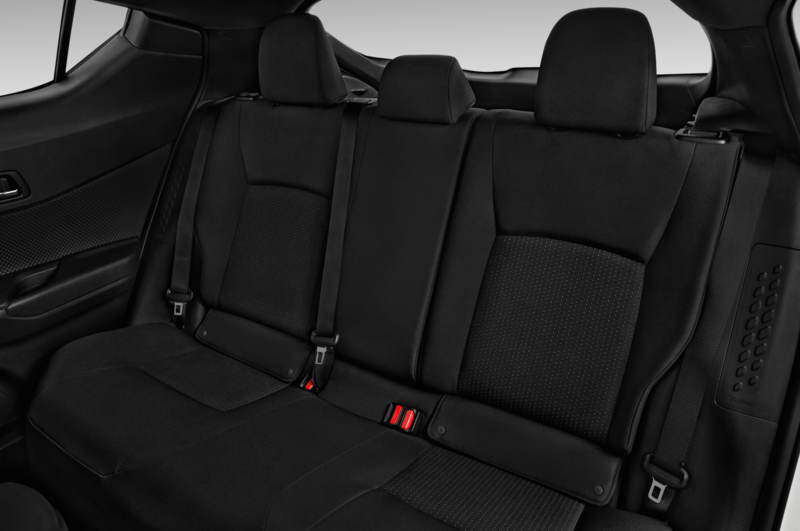 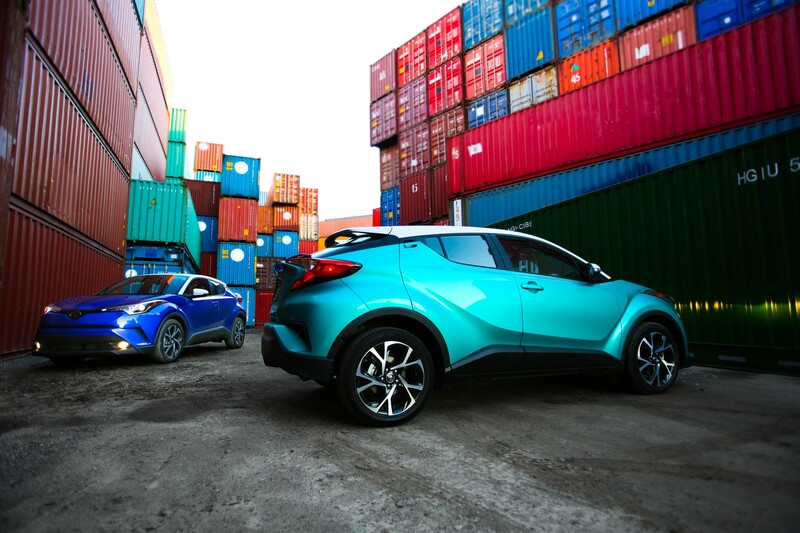 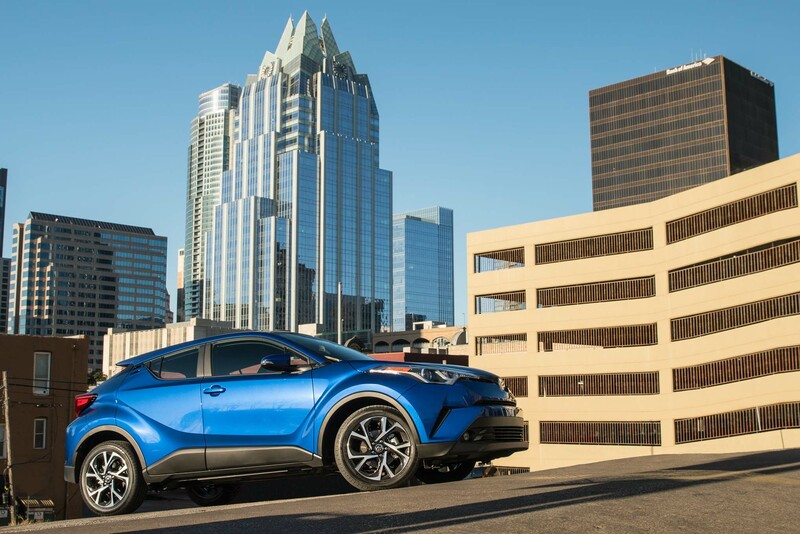 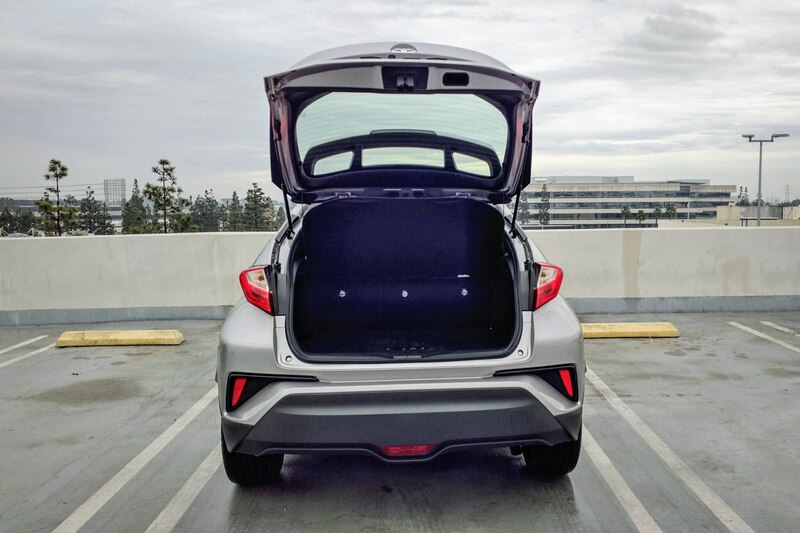 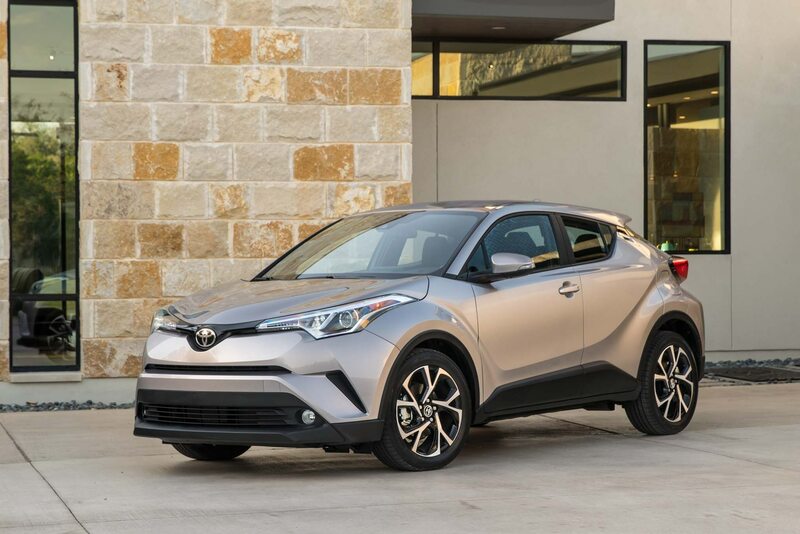 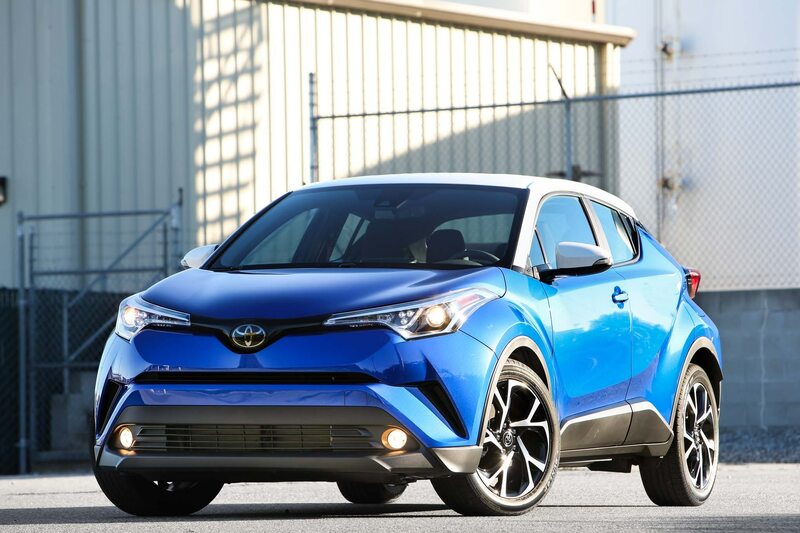 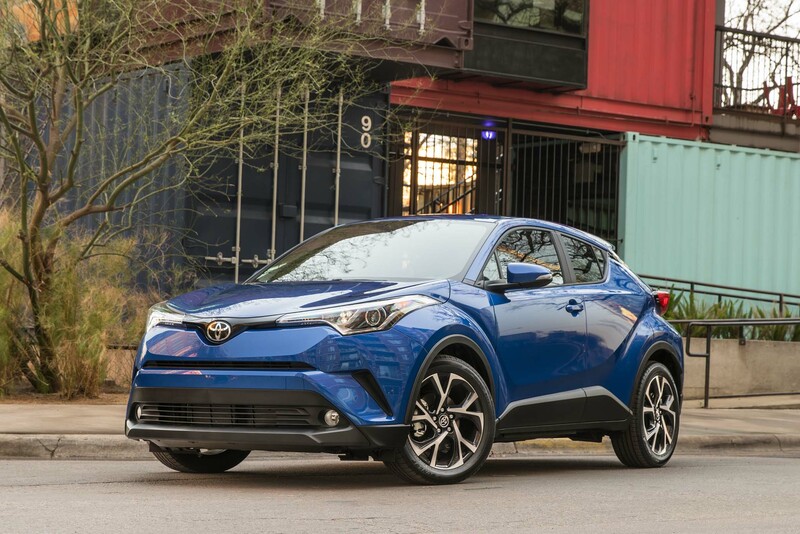 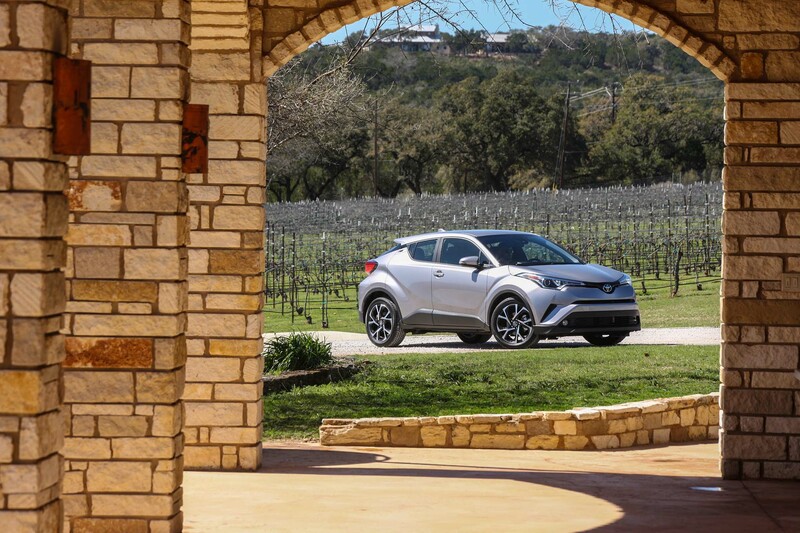 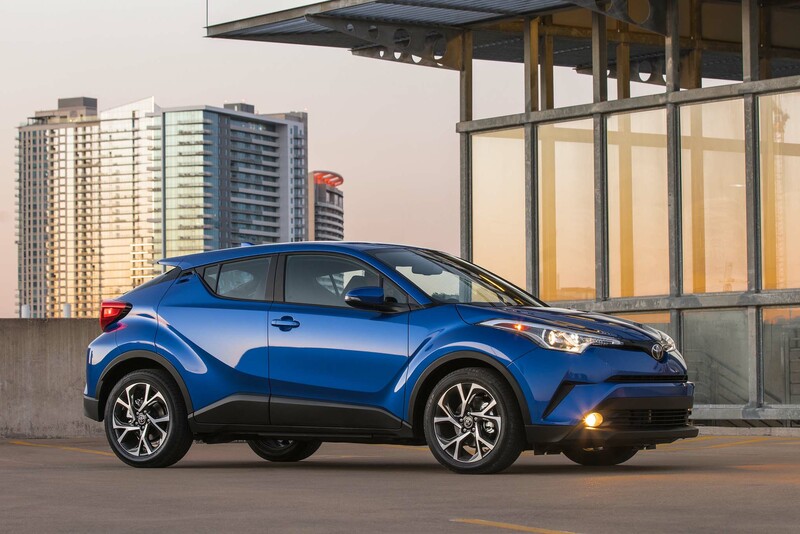 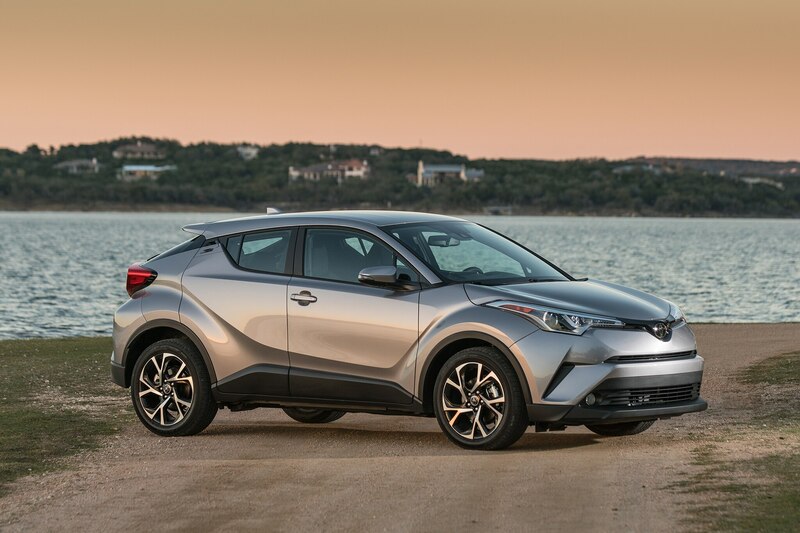 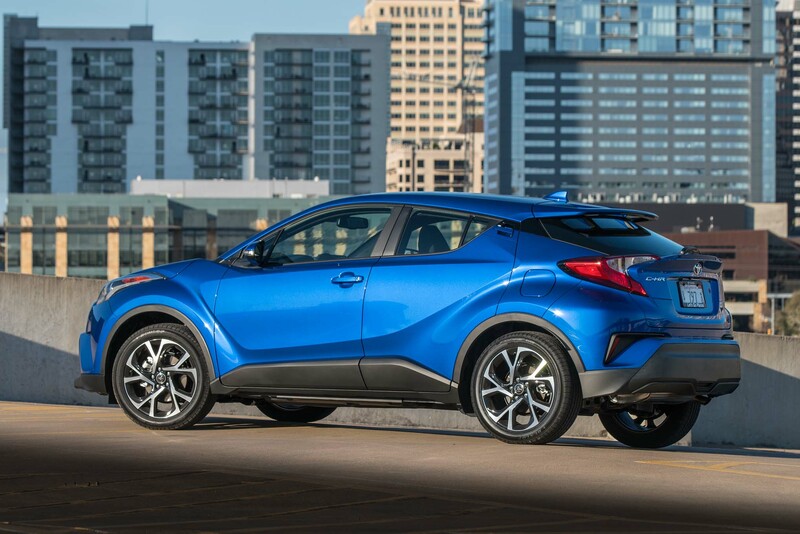 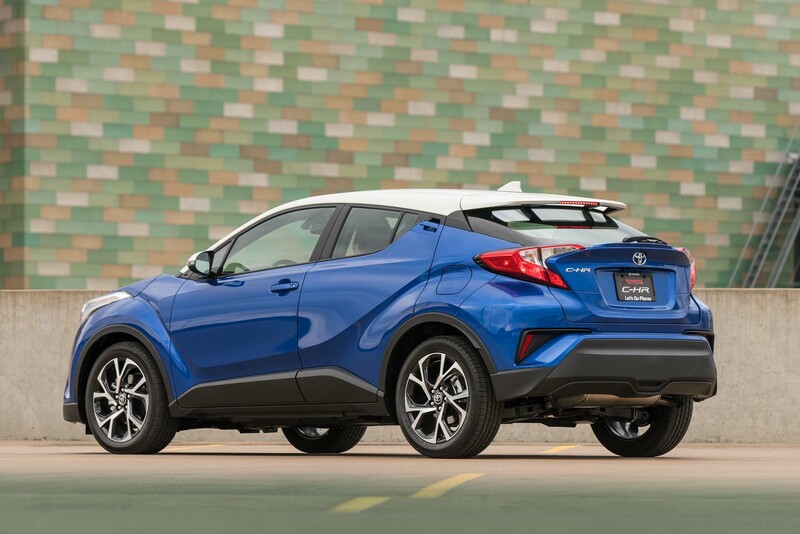 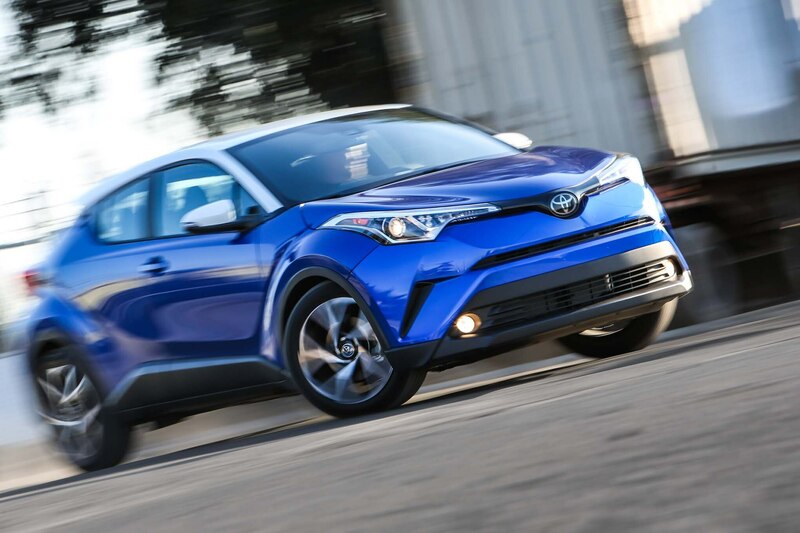 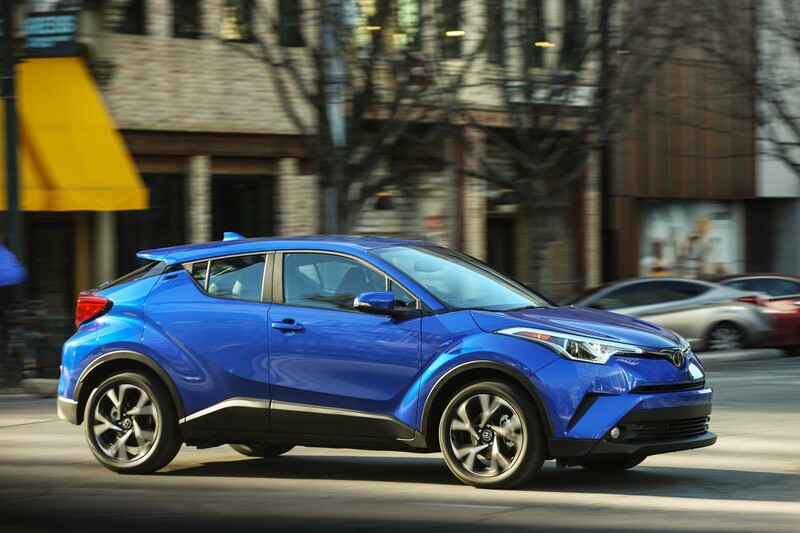 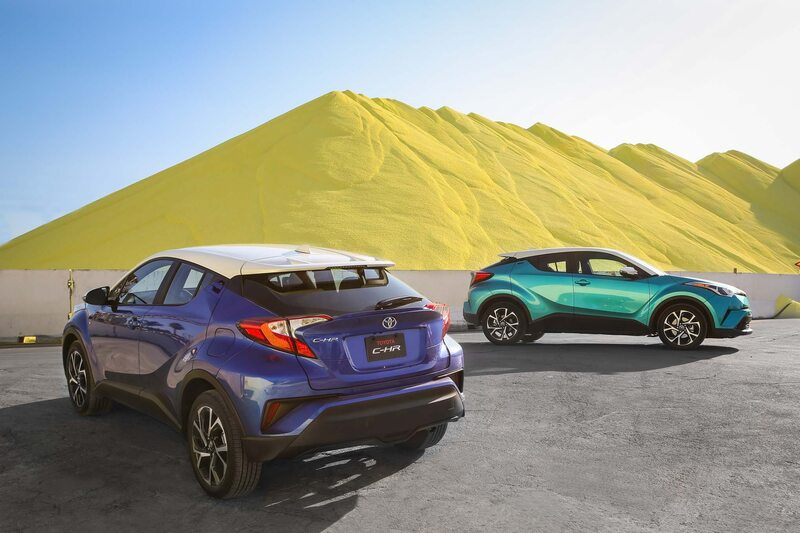 The Toyota C-HR offers the packaging benefits of a crossover with a spacious interior and trunk, but its expensive price, moderate technology, and awkward styling hold it back compared to strong competitors like the Subaru Crosstrek, Mazda CX-3, and Jeep Renegade. 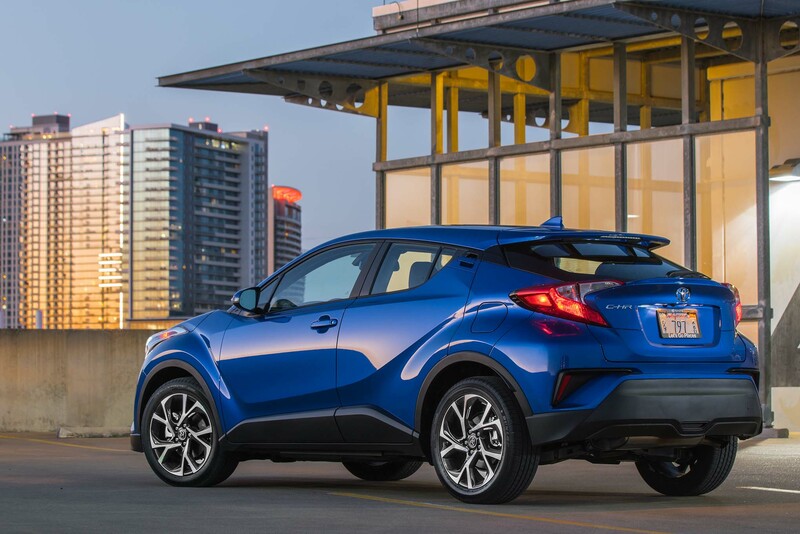 Though it’s not the best value proposition in its segment or be the perfect vehicle for millennials, the C-HR is fun to chuck through corners and it impresses with its spaciousness and utility. 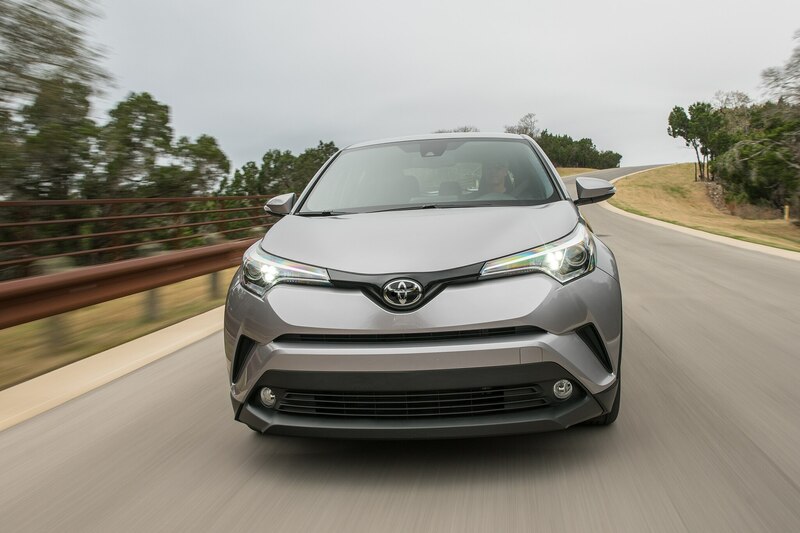 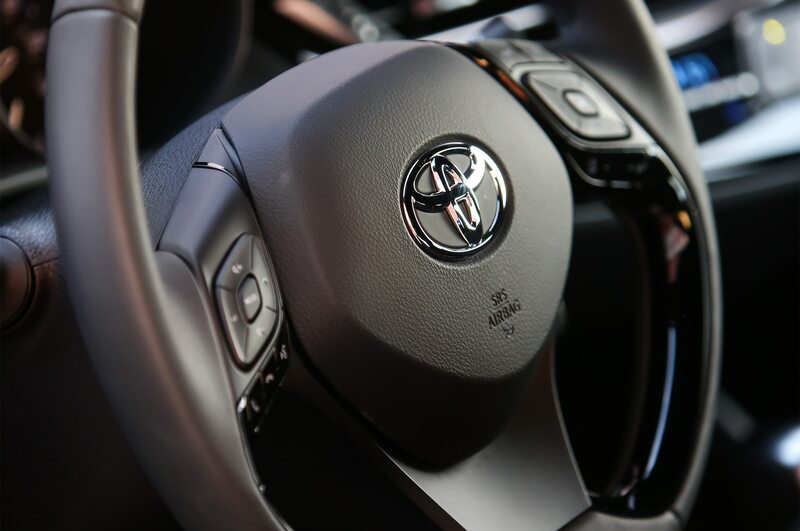 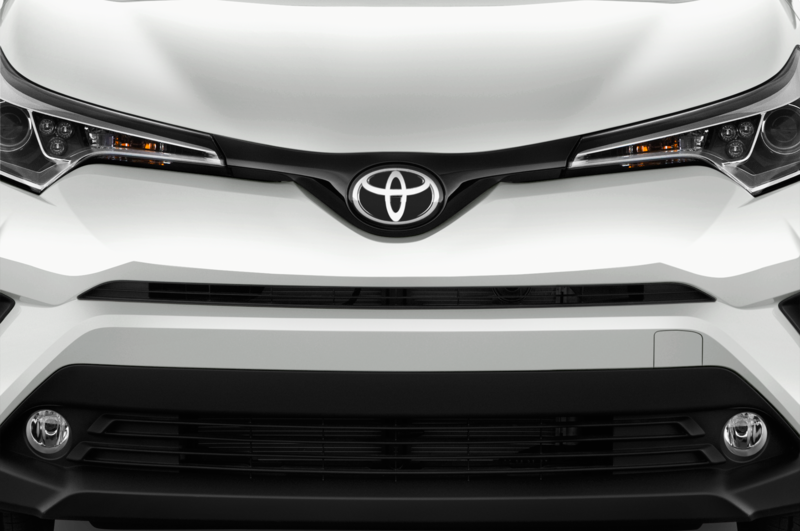 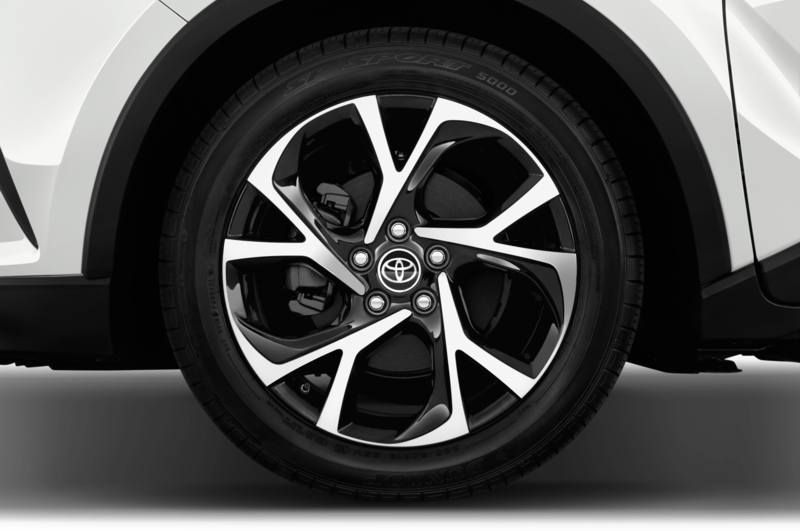 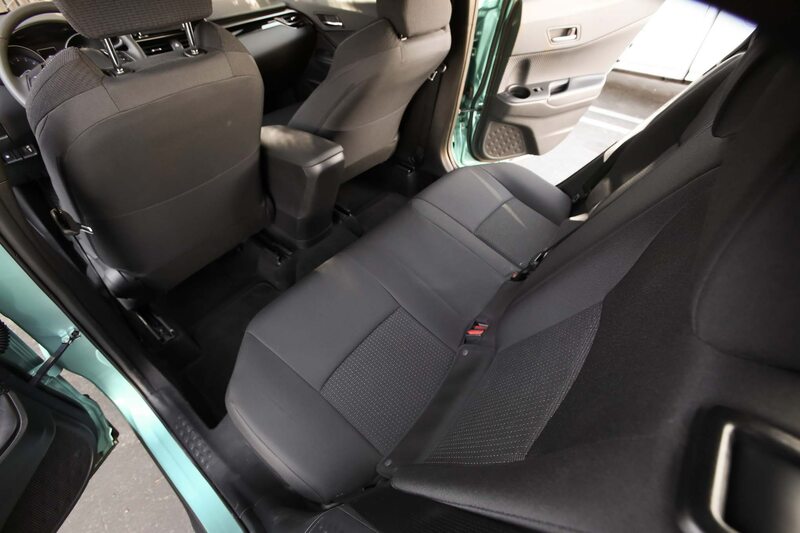 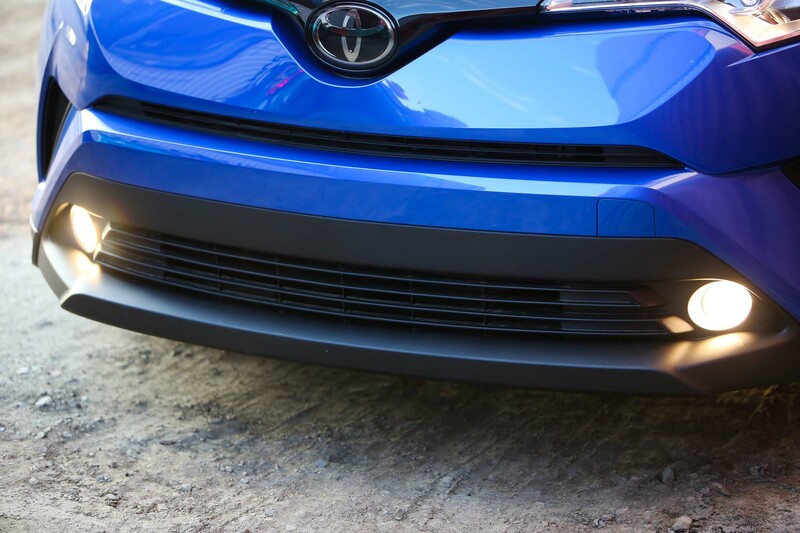 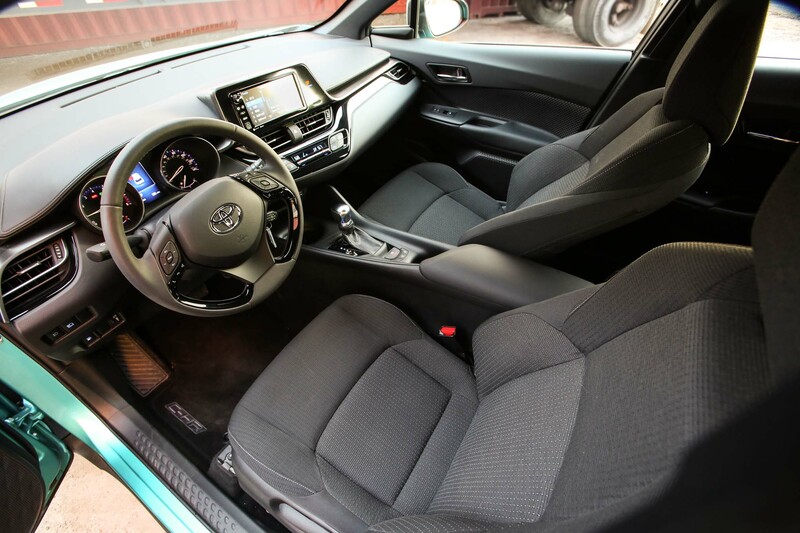 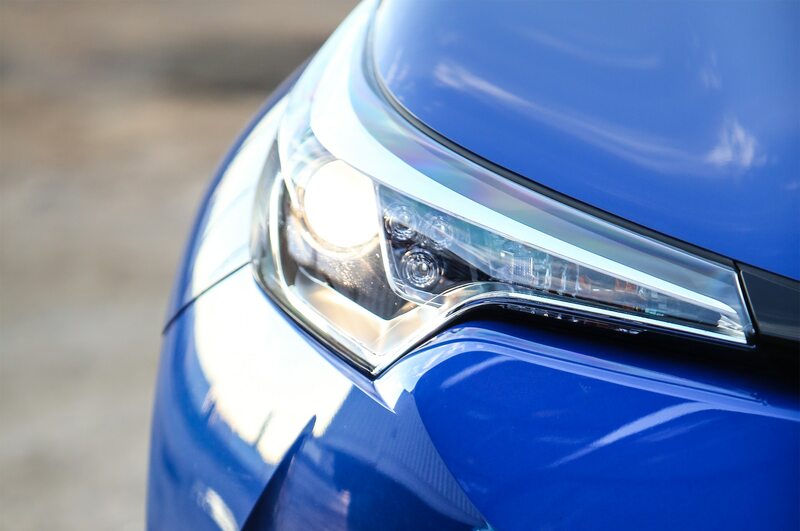 Shoppers looking to stay in the Toyota family for their compact crossover purchase will be charmed by its offbeat design and practicality as long as they don’t expect to get away from stoplights in a hurry.